There was a crashed car wrapped around the tree in front of Curios. 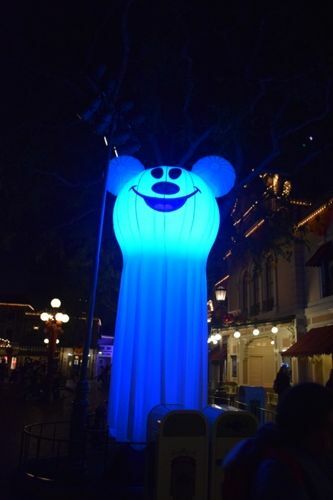 It was actually kind of scary looking, especially at night when it glowed and made ominous sounds. 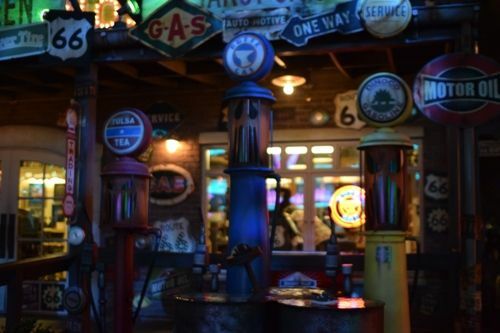 Witchy Miss Lizzie's (aka Radiator Springs Curios) itself had new signs, haunted gas cans, and spooky lighting. 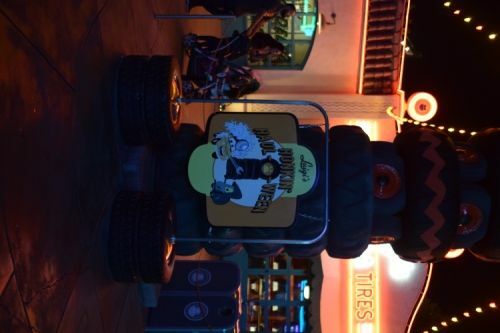 Luigi's Rollickin' Roadsters was renamed Luigi's Honkin' Haul-o-Ween! 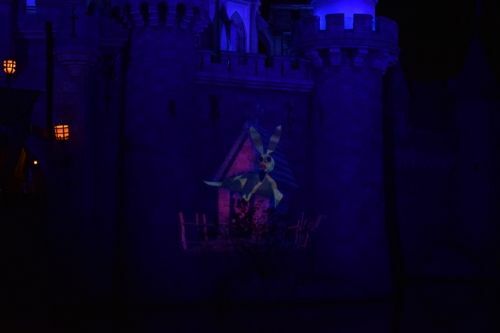 Same attraction, just with new songs. 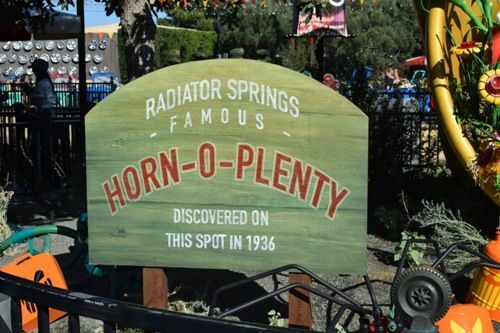 Next to Luigi's was the Horn-O-Plenty. 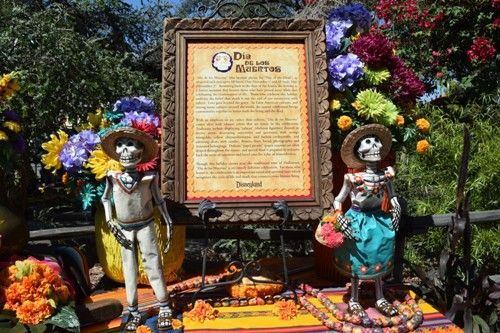 Inside Ramone's House of Body Art was a Día de los Muertos celebration. 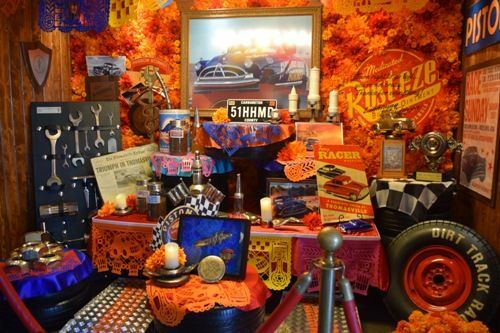 There was a display for Doc Hudson inside and Sugar Skull Car outside. 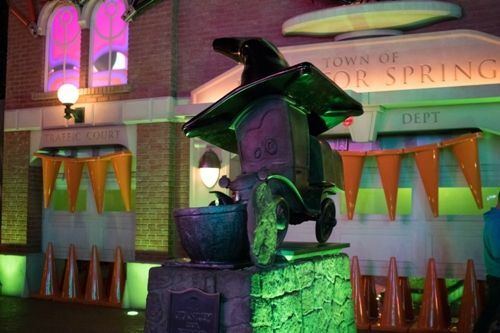 The Stanley Statue was given a witch hat and there were monster eyes in the building behind him. 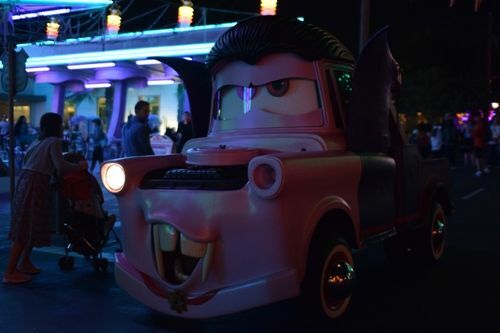 McQueen, Mater, Red, and Cruz had Halloween costumes on when they greeted guests. 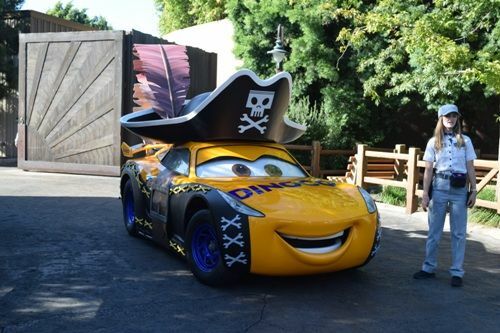 Mater was a vampire, McQueen was a super hero, Red was a clown, and Cruz was a pirate. 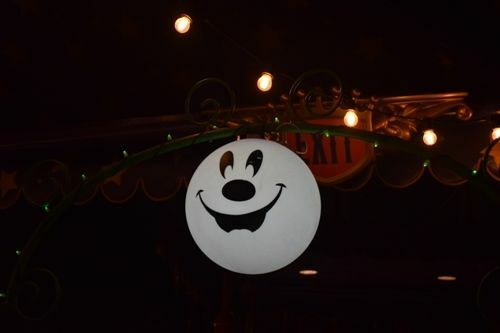 Most of the time they were meeting at either the Cozy Cones or along the pathway that leads to Bug's Land. Jaina and Canadian Harmony like this. 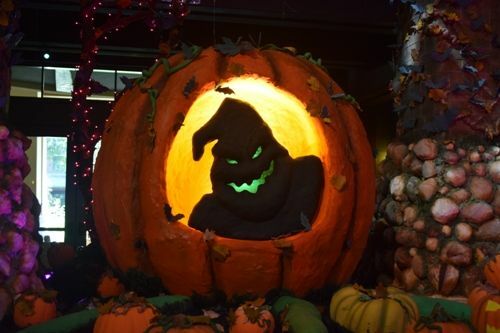 The were decorations inside DIsneyland celebrating Halloween. 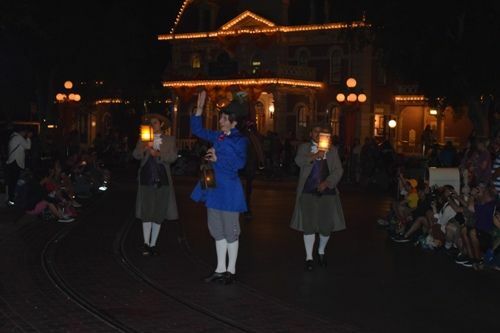 They were mostly on Main Street and in Frontierland. 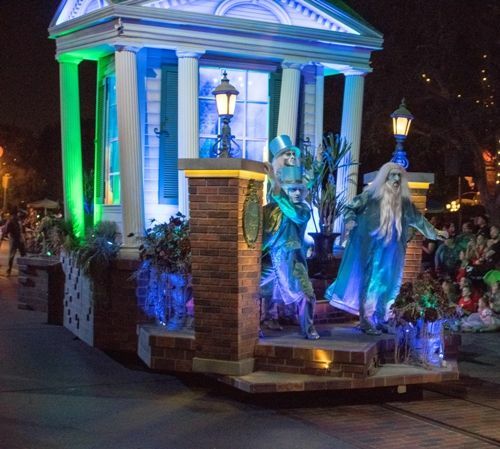 New Orleans Square was decked out in its Nightmare Before Christmas decor. 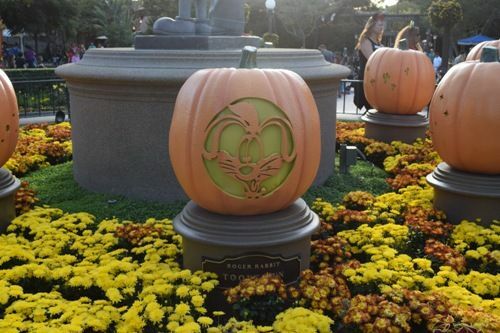 Over the main ticket gates were the Mickey, Goofy, Minnie, Pluto, and Donald pumpkin decorations. 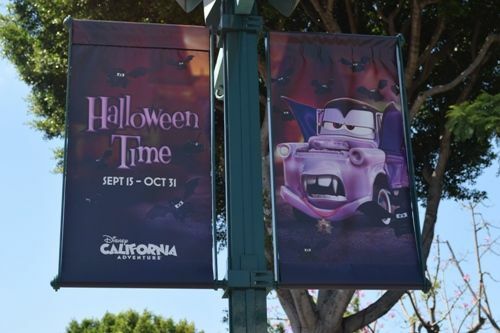 The HalloweenTime signs were on the lamposts along Main Street. 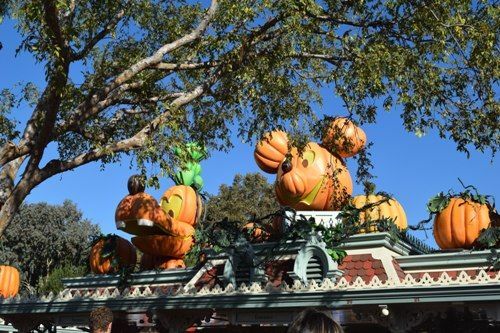 There was a lot of orange bunting and pumpkins on the Main Street buildings. 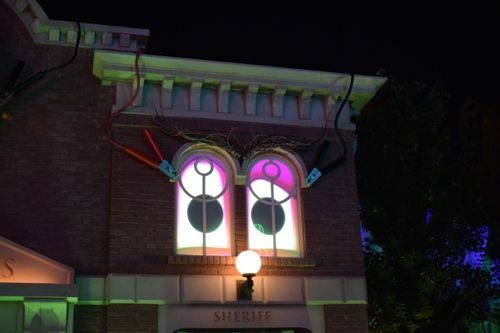 In the windows along Main Street are a variety of Halloween displays. 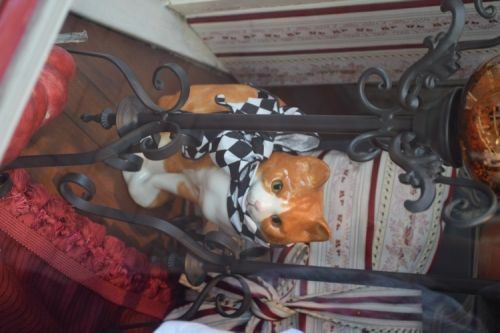 The ones near the Clothier shop had kitties! 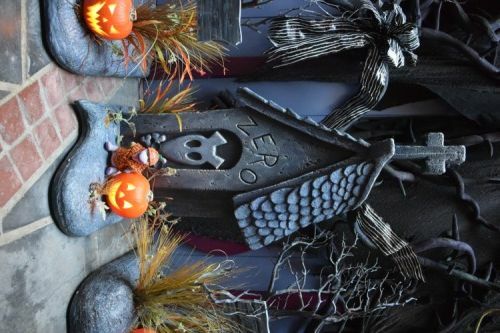 The Jack & Sally meet & greet back drop featured Zero's dog house! 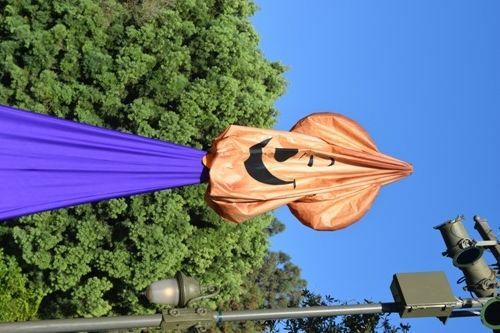 There were two types of Halloween balloons. 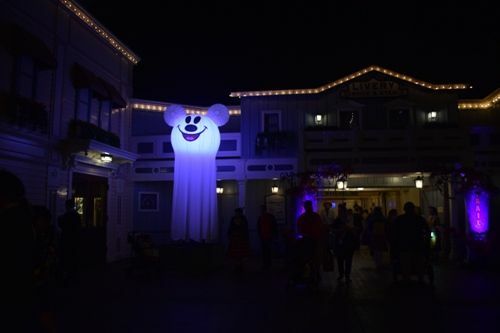 Both featured trick-or-treating Mickey. 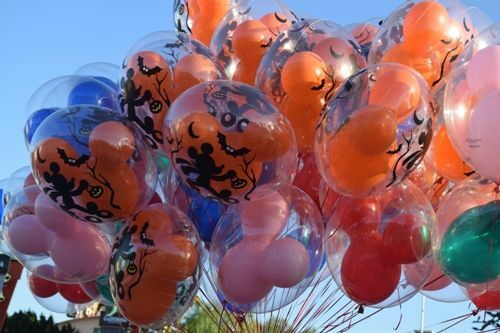 One had an orange balloon inside and the other had a white balloon inside. 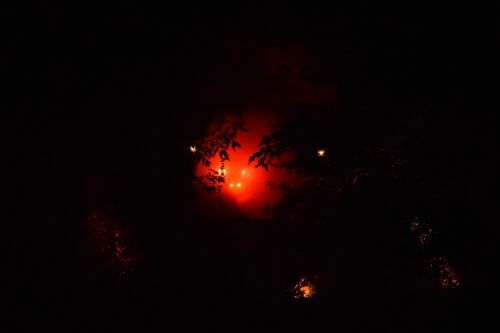 The white ones lit up! 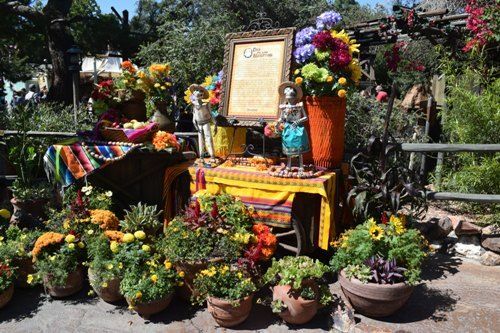 The Frontierland Día de los Muertos celebration was back this year. 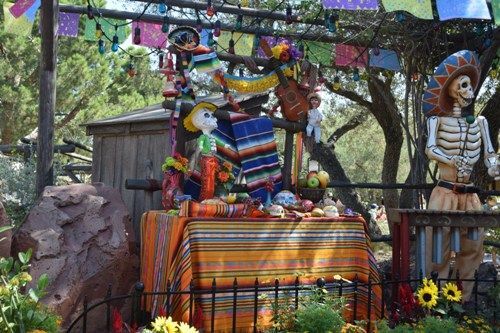 It's located near Rancho del Zocalo and Big Thunder Mountain Railroad. 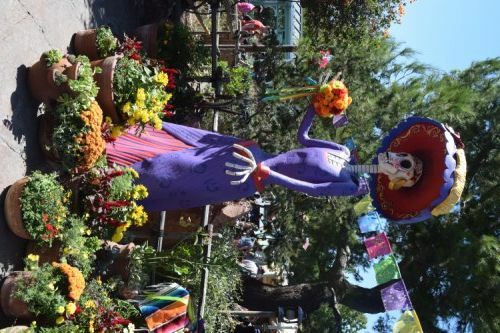 THere were displays, face painting and floral headbands. 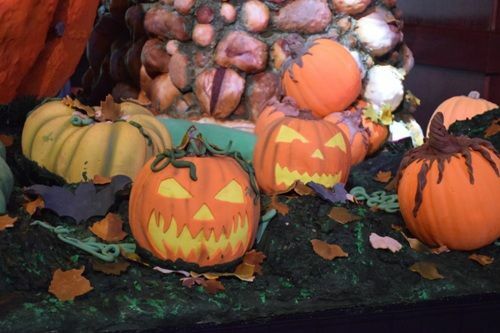 Downtown Disney had several pumpkin (uncarved) displays in all of the planter boxes. 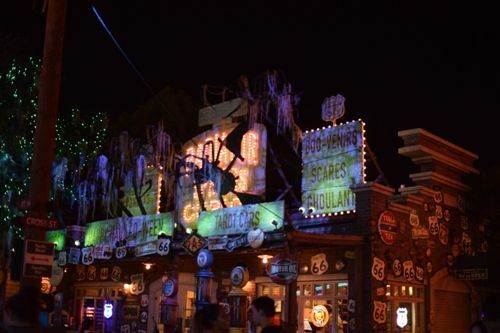 The signs featured Carsland and the Halloween overlay. 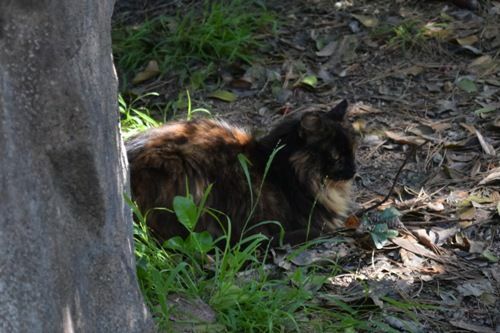 While not part of HalloweenTime, we did see TWO cats over by Grizzly River Run. 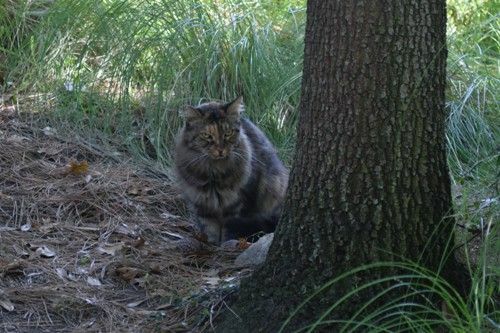 At first, we thought it was the same kitty that we've seen in the past, but then when the second one appeared, we realized the first one was a different kitty. 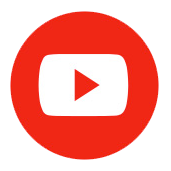 The colors are similar, but the face is very different. The first photo is of the kitty we've often seen, the second photo is of the new kitty. They didn't seem to mind being near each other. Wow...these are amazing photos. 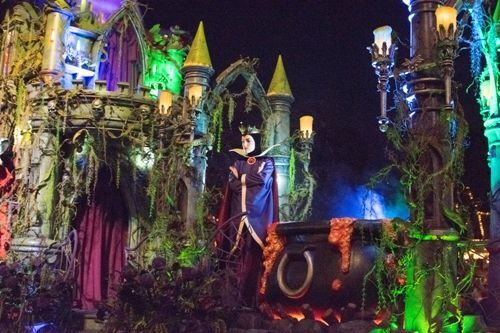 Disneyland looks like so much fun at Halloween time! 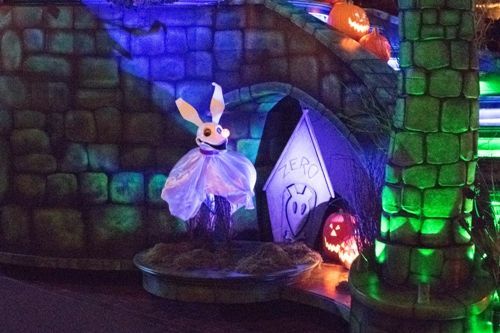 We ended up with almost 20 pounds of candy across two parties! 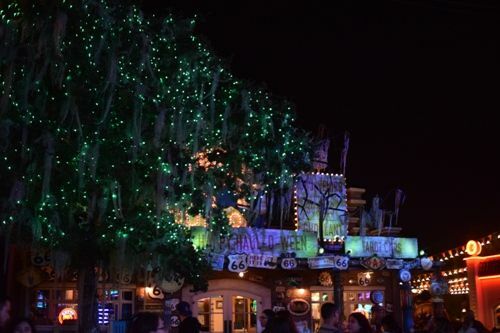 We got about 7.5 pounds per night and on the first night an additional 4.5 pounds from the Blue Bayou Dining package. 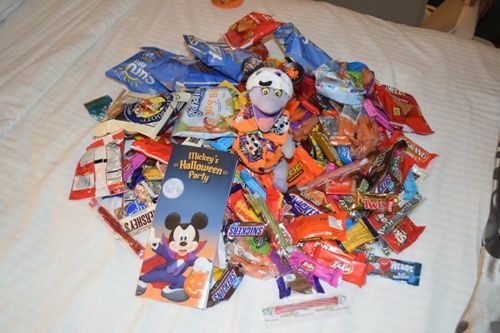 The candy was a pretty good assortment of chocolates and non-chocolate candies. 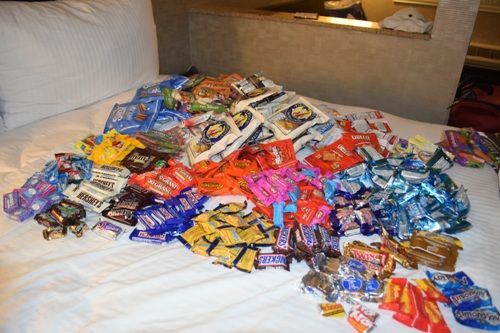 There were a lot of Snickers, Baby Ruths, Milky Ways, 100 Grands, M&M's, along with Laffy Taffy, SweetTart Chews, Skittles, etc. 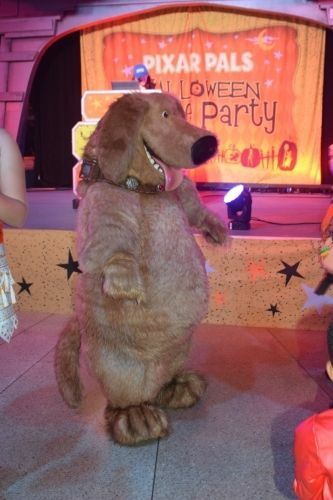 I love your pictures, I will be there for my first Halloween party at the end of this month. P.s. The OCD in me loves that you organised these treats into their brands! Thanks! 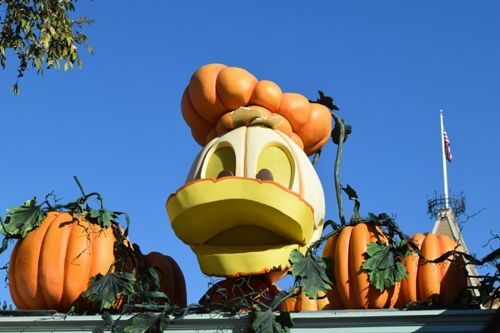 DLR is a lot of fun during HalloweenTime...busy, but a lot of fun! We always sort the candy to see if one kind dominated. 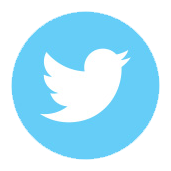 It's interesting to see what is given out and whether there is a bias towards some kinds over others. Have a great trip! 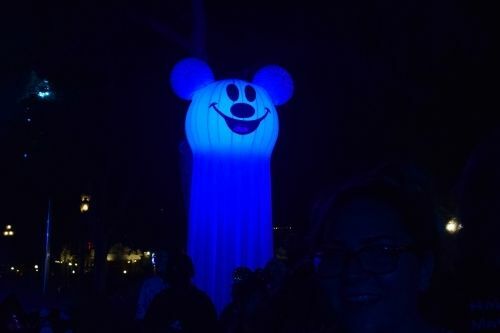 Disneyland went all out this year! 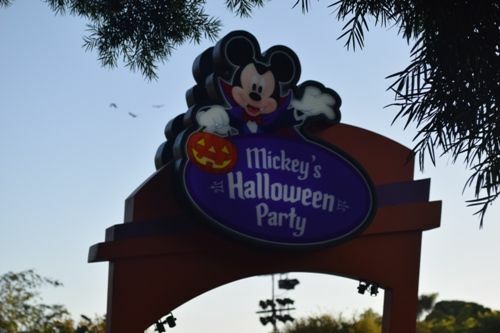 There were two premium popcorn buckets, a two round buckets (plus an AP one), one travel mug, a light-up bottle topper, plus other items that either had not arrived or were repeats from previous years. 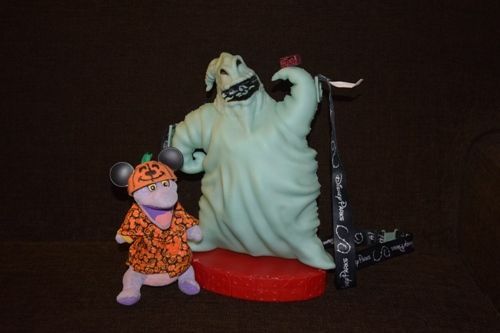 Oogie Boogie Premium Popcorn Bucket - This is by far the most popular item this year! 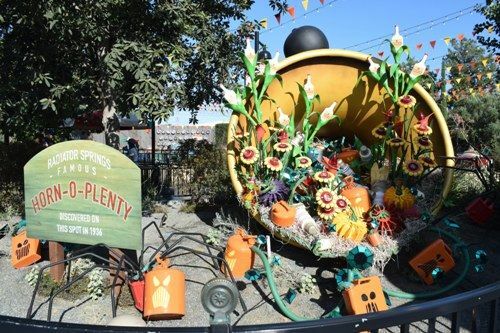 The Oogie Boogie popcorn bucket is sold throughout DCA and at the NOS popcorn stand in DL. 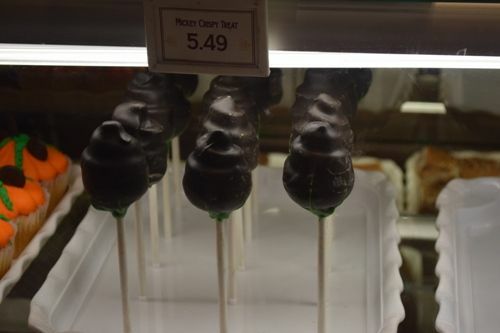 The lines were really long on the weekends and they frequently ran out before the day ended (so, if you see it at the stand, don't wait until late in the day to try and get one). 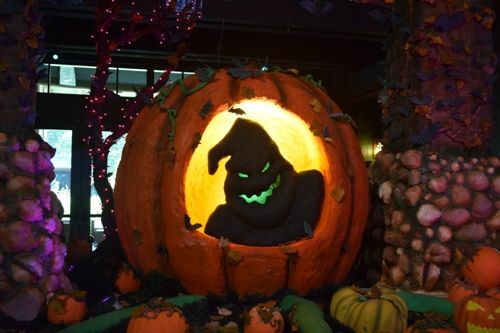 Oogie glows in the dark! 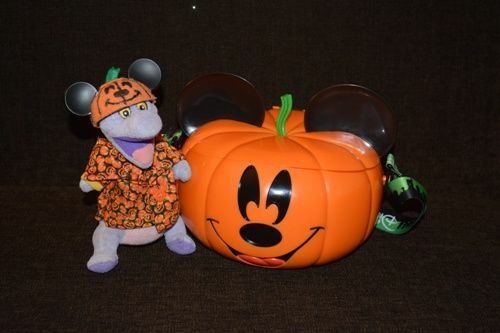 Pumpkin Mickey Premium Popcorn Bucket - This is bucket is really cute and holds a good amount of popcorn. 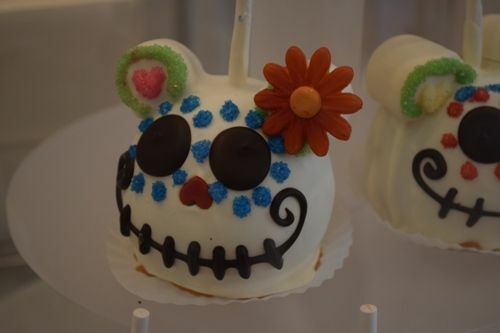 It is sold throughout DL (I did not see it in DCA). 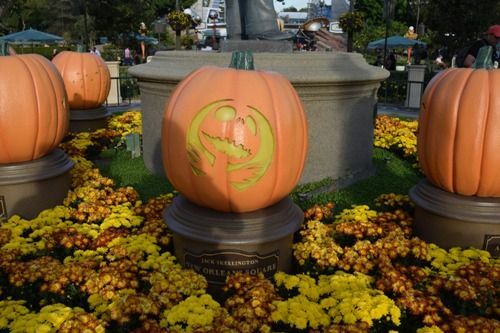 DCA Round Popcorn Bucket - The round bucket in DCA features the Headless Horseman and Oogie Boogie. 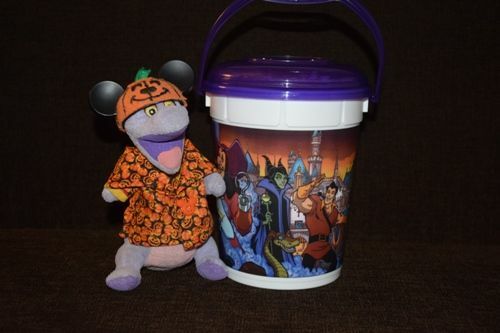 AP Round Popcorn Bucket - This bucket was available in DL through September 30 and can be refilled for $1 (with a valid AP). 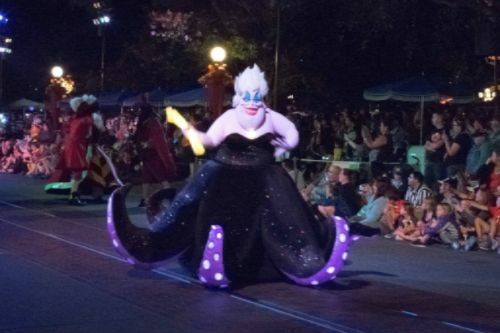 It features a variety of villains. 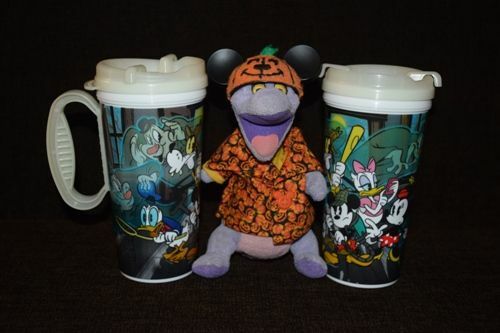 Travel Mug - This year's travel mug features Mickey and the gang as they investigate a haunted house. 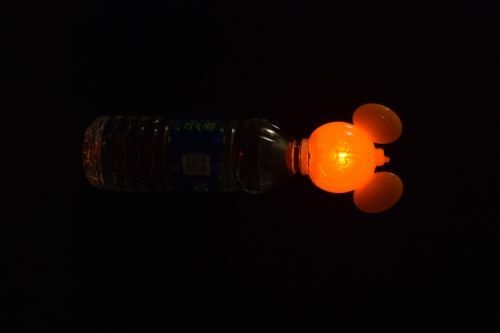 Pumpkin Mickey Light-Up Bottle Topper - This cute light-up Mickey Pumpkin goes on top of a soda bottle. 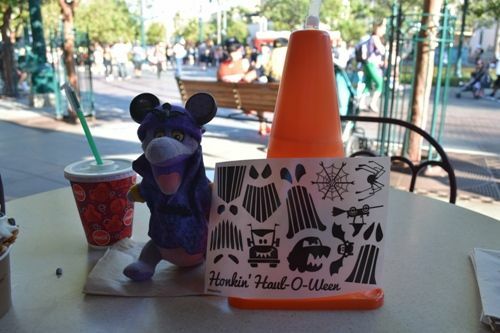 Halloween Traffic Cones - These are the same Traffic Cones Sipper that they used to sell at the Cozy Cones before they introduced the Oil Can Sippers. 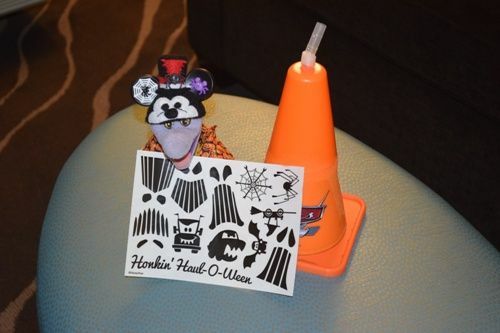 Now, they come with a sheet of Haul-o-Ween themed stickers that you can put onto the cone however you want. You get the same sticker sheet whether you buy the large or small cone. 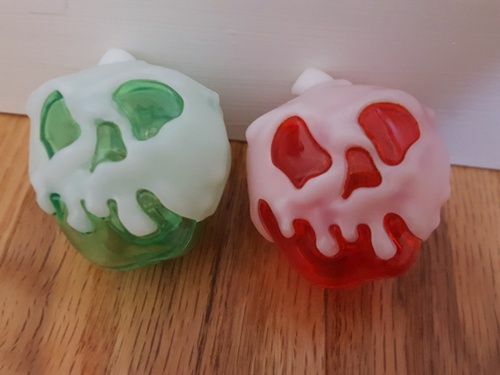 Poison Apple Glow Cubes - The Poison Apple glow cube returned this year. 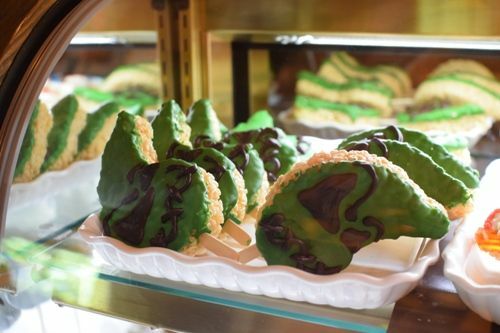 The red version is available throughout the resort, but the green version is exclusive to the Carthay Circle Restaurant and Carthay Lounge. It comes with the Poison Apple-Tini (you can also get it with the non-alcoholic version - plain cranberry juice - for the same price). 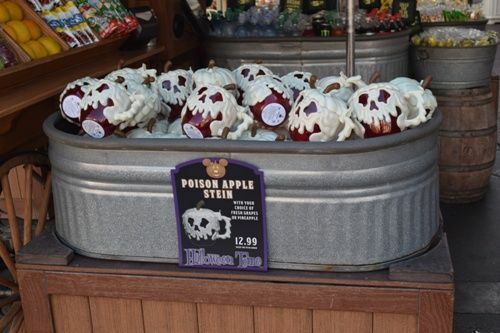 Poison Apple Stein - Returning for another year is the Poison Apple Stein. 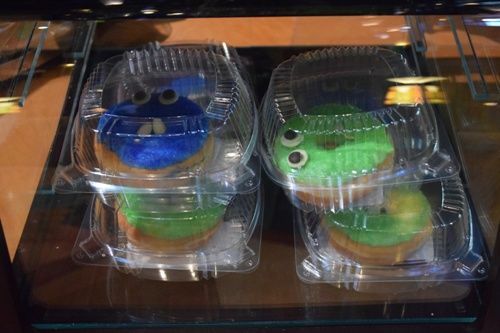 It's available throughout the resort with a variety of options (e.g., drink, fruit, ice cream sundae, etc.). rentayenta and Canadian Harmony like this. 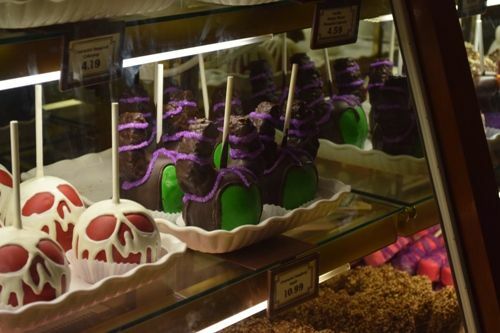 Disneyland Resort always have a wide selection of HalloweenTime treats to try. 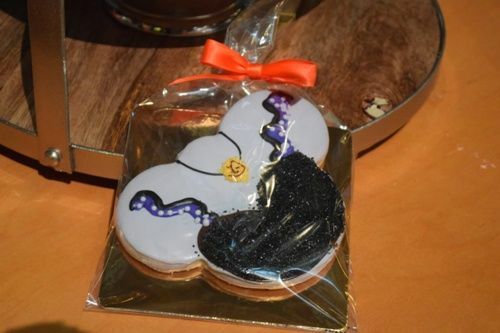 Mostly they're snacks and desserts, but there are a few entree items as well! 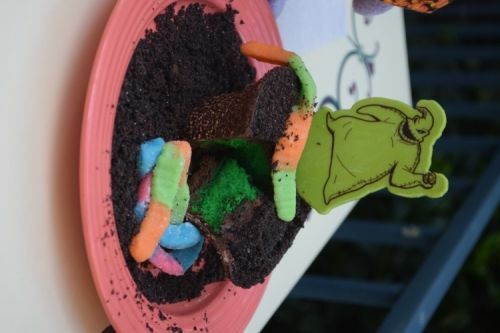 Snake and Spider Chocolate Goo - Dark Chocolate Cup filled with layers of Dark Chocolate Mousse, Green Pound Cake, and Chocolate Cookie Crumbles with Gummy Worms and Chocolate. 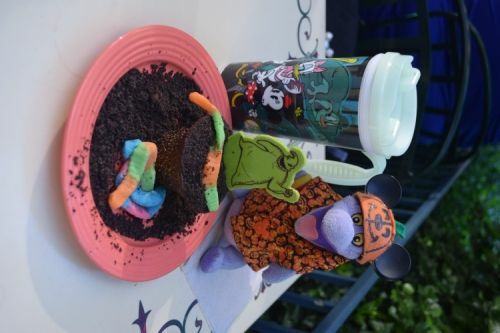 This was the special dessert for HalloweenTime! 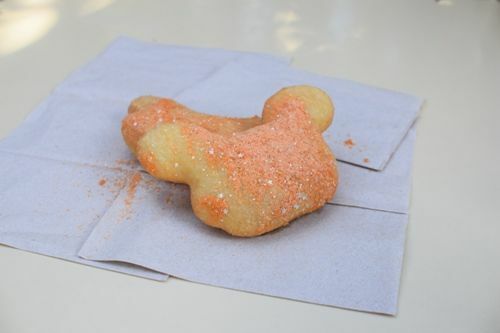 Dreamsicle Beignets - These were new for HalloweenTime. 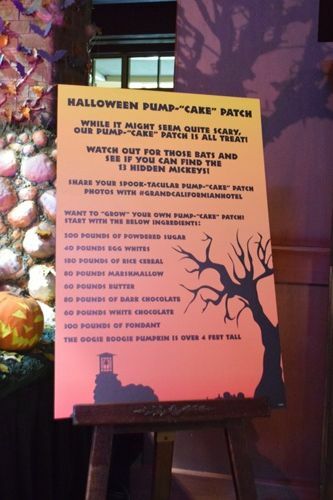 I'm not really sure what orange flavoring has to do with Halloween, other than it's the color of pumpkins. The sugar didn't have a really strong orange flavor. It was more like a hint of orange, with a strong sweet flavor. 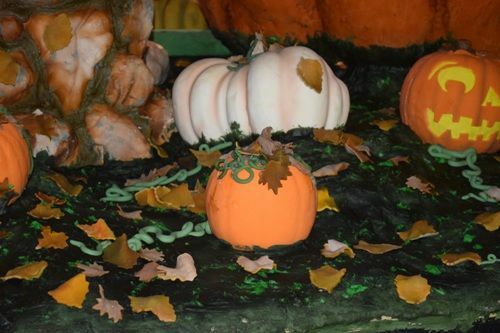 The orange sugar had silver stars mixed in. 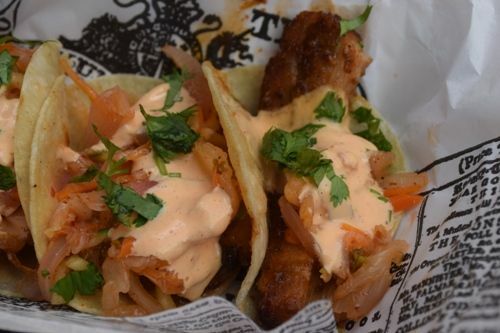 Dragon Breath Tacos - Pork Belly Tacos, Korean BBQ Sauce, Kim Chi Slaw and Sriracha Aïoli. These were really good! The meat was very tender and there was a lot of it! There was a slight bite, but it was not overwhelming. 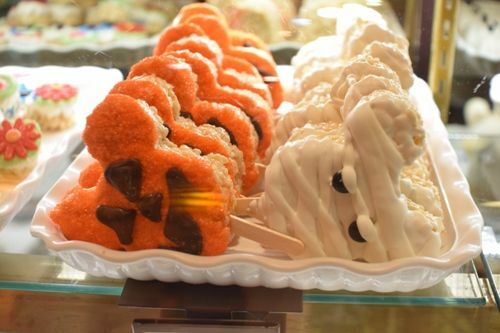 Mummy Macaron Ice Cream Sandwich – Almond macaron shell with dark chocolate “eyes” drizzled with white chocolate and filled with rainbow sherbet. 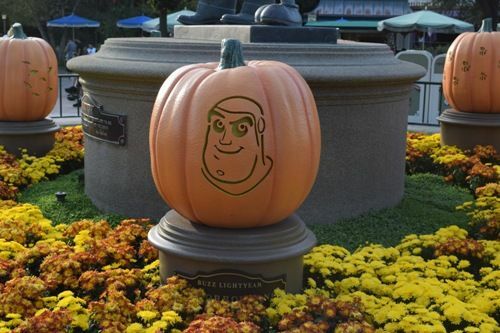 This was one of Schmoozies HalloweenTime offerings. It was pretty good. The rainbow sherbert added a nice flavor to the crunch of the macaron. Just make sure to eat it before it melts! 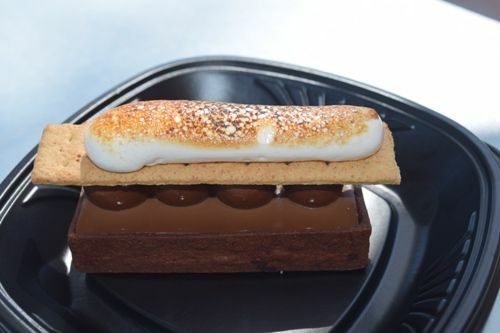 S'Mores Bar - This is one of my favorite desserts at Jolly Holiday. 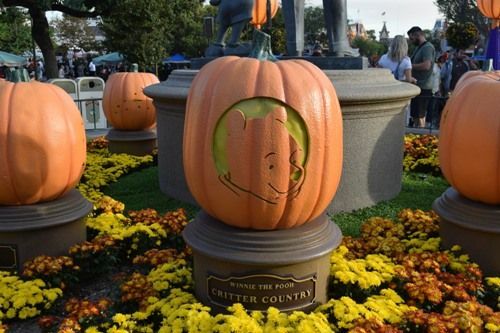 Alas, it's only available seasonally (usually in the fall). It's very rich and very chocolaty! 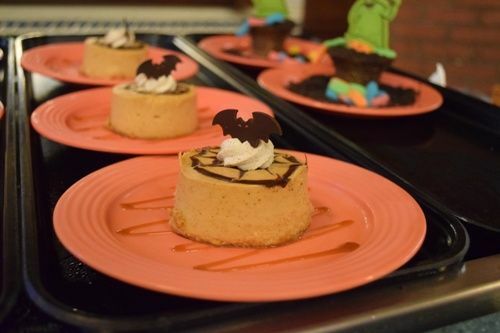 Spiced Bundt Cake - This was one of the HalloweenTime offerings. It was a bundt cake...um...sadly, it was kind of boring and didn't have much flavor. 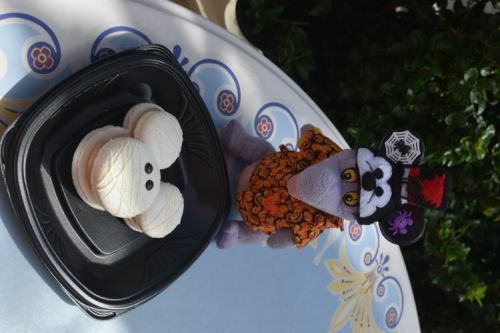 Mickey-Shaped Mummy Macaron – A white chocolate macaron with white chocolate drizzle and chocolate-salted caramel filling. 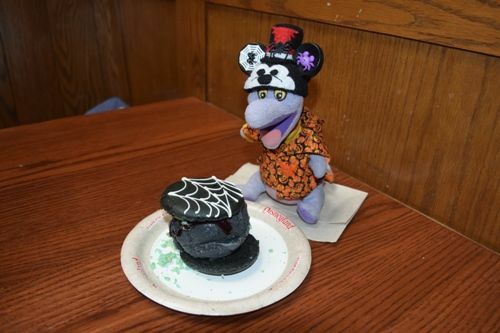 This was another of the HalloweenTime offerings. It was very cute and tended to run out early. The filling was quite yummy. 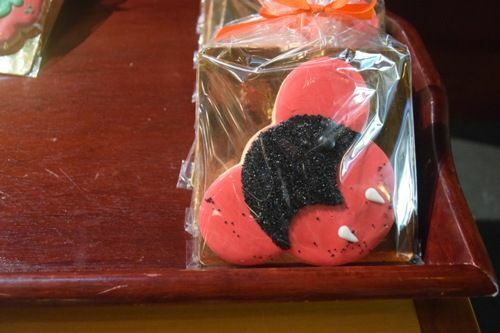 Bat Wing Raspberry Sundae – White chocolate-raspberry swirl ice cream with raspberry splatter, blood-red sprinkles, whipped cream and Bat Wing cookie. This was a very cute looking sundae. Alas, the flavor wasn't really that impressive. 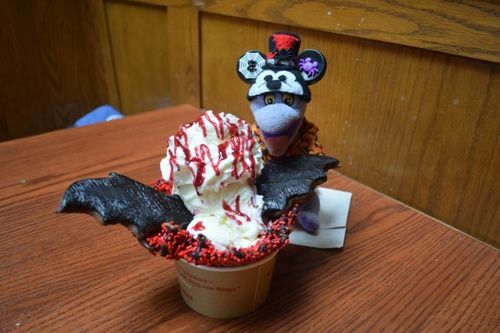 The ice cream was very rich, but it needed more raspberry swirl in it. 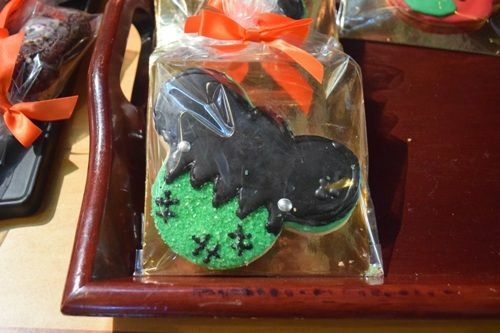 The bat wing cookie was kind of like a gingerbread cookie, but without the gingerbread flavor. While cute to look at, I wouldn't order this sundae again. 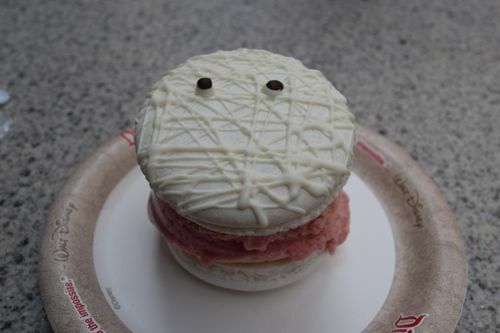 Spider Silk Ice Cream Sandwich – A black macaron with charcoal-tart cherry spun ice cream topped with popping candy and raspberry sauce. 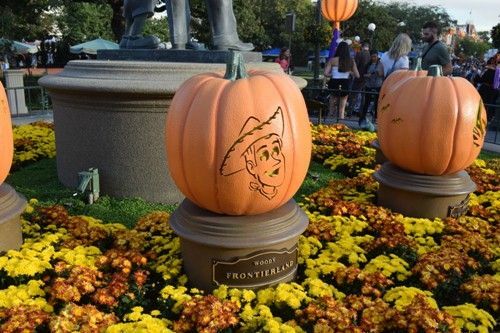 This was the other HalloweenTime offering. 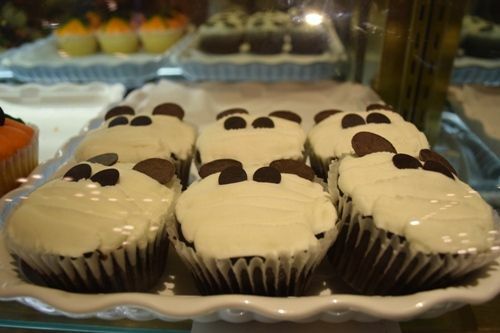 Again, it was pretty cute to look at, but was lacking in the flavor department. The ice cream was rich, but it was very hard to taste the "tart cherry" flavor. If anything, I tasted the charcoal more (that was the first thing he noticed). 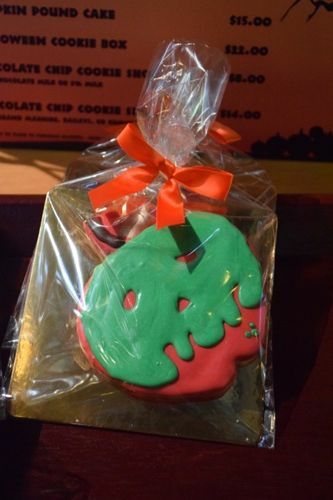 The macaron was good and the popping candy added a nice texture contrast. 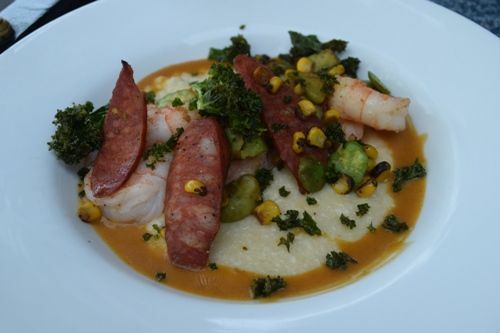 Shrimp and Grits - Creole-spiced Shrimp served atop Cheese Grits, Spiced Sausage-Fava Bean-Corn Relish and Shrimp Sauce. It was good (very mild), but the grits had a bit too much cheese in them. 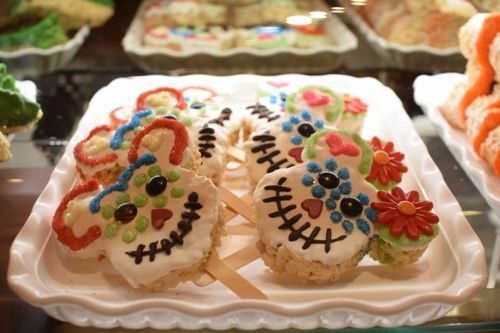 Rice Crispie Treats - There were Oogie Boogie, Sugar Skulls, Mickey Jack-o-Lanters, and Mickey Mummies. 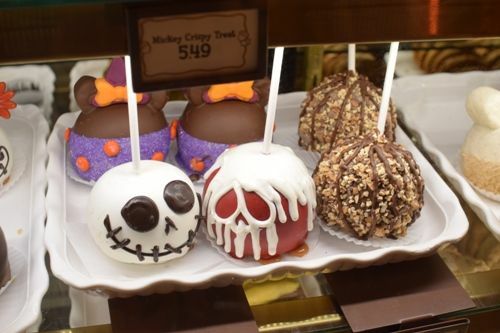 Chocolate-Covered Caramel Apples - There were Jack Skellington, Witch Minnie, Poison Apple, Gourmet, and Maleficent apples this year. 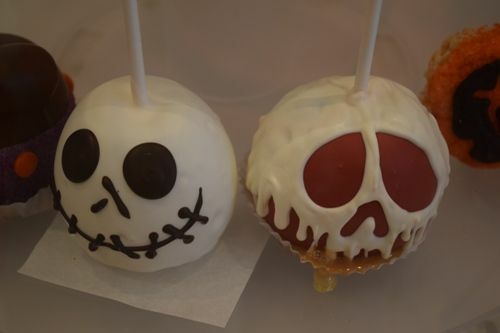 They also had the plain and candied apples available. 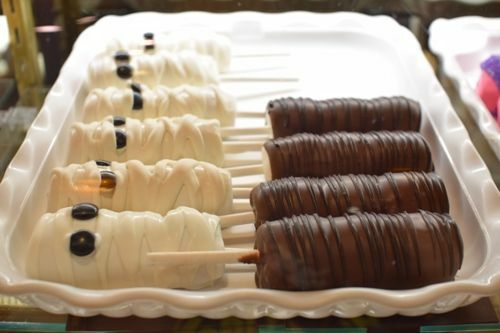 Marshmallow Wands- There were Mummies. 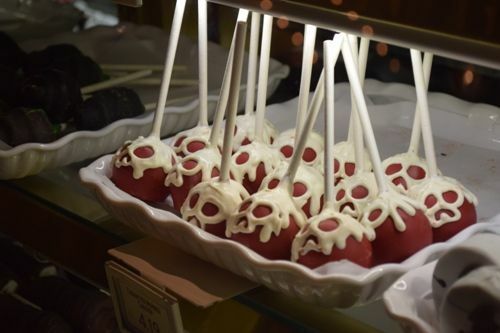 Cake Pops - There were Dead Rose and Poison Apple cake pops. 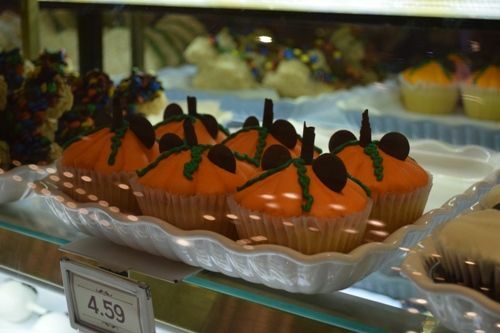 Cupcakes - There were pumpkin and mummy cupcakes. Thank you so much for an exciting TR - I can hardly wait! 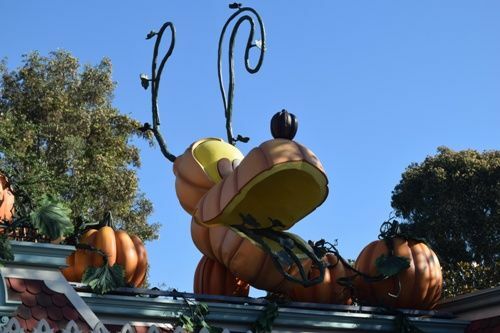 Yikes, HalloweenTime 2018 is almost here and I didn't post any of the photos from Haunted Mansion Holiday 2017! 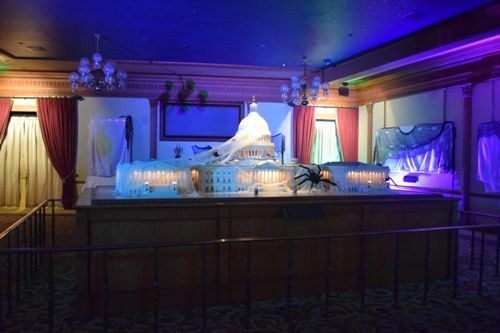 Not a lot changed from previous years, except for the gingerbread house. 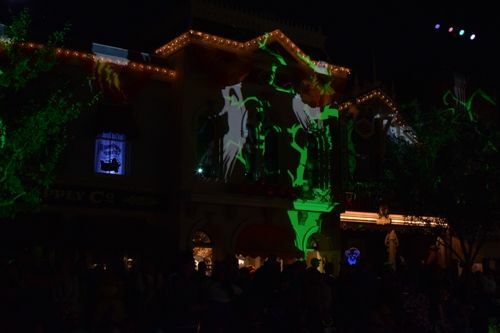 The 2017 version featured Oogie Boogie towering over the mansion! 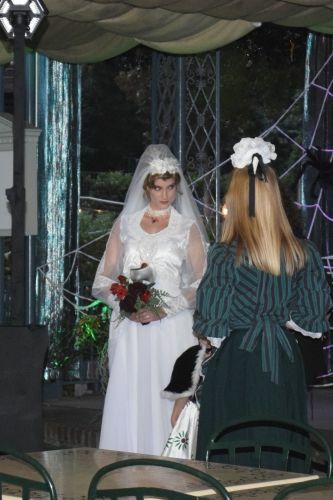 As in years past, the Monkey Bride was in the attic, along with the present for Bill King. 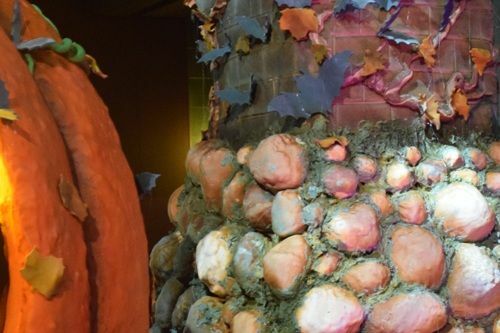 We returned to our tradition of going to the first Miche's Halloween Party of the year. 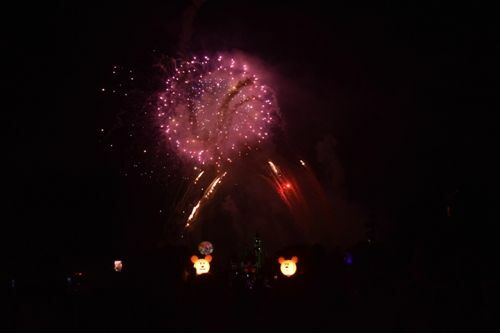 We also went to the second one. 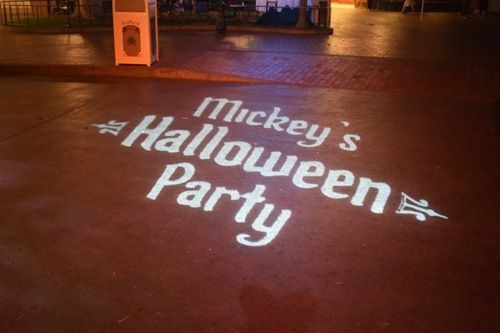 There were a few changes from the previous years' parties, but overall, the party was pretty similar. 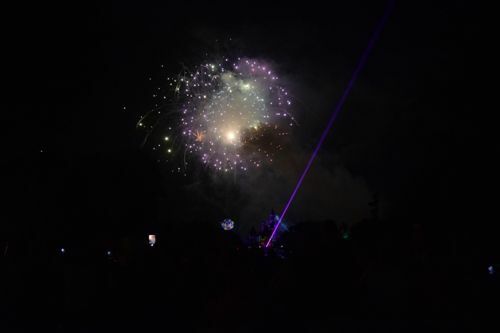 There is so much to see and do during the party that it seems like it's nearly impossible to do everything in a single night! 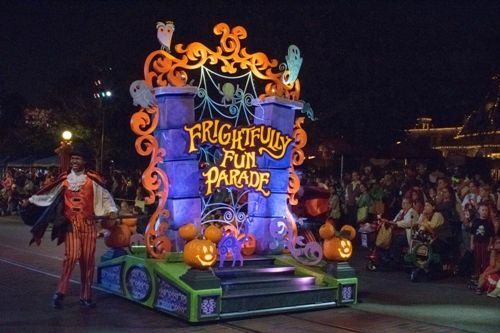 Our focus is usually on the live entertainment, parade, fireworks, trick-or-treating, and soaking in the atmosphere. 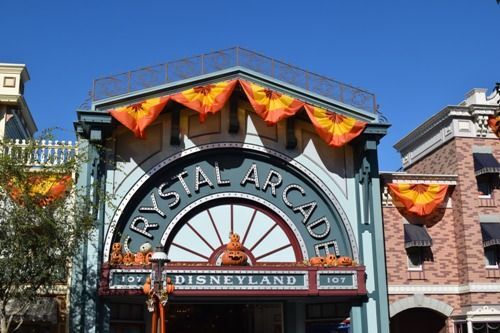 Guests could get their wristbands, trick-or-treating bag, and guide map at the front gate or the inside the park location (Starcade). 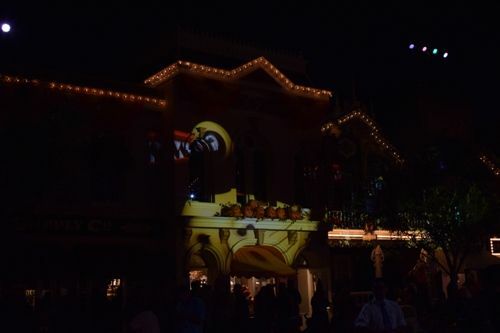 The bags features Incredibles 2 on one side, and Wreck-It-Ralph 2 on the other side. 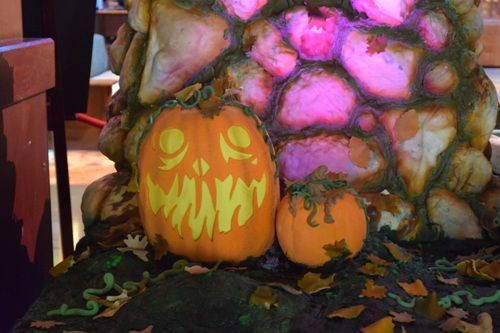 The bags were the same size as last year (9" tall, 7" wide, and 3" deep). 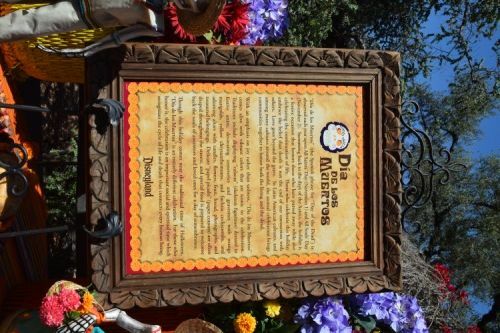 Guide maps were readily available at the entrance, but not so much so in the park. 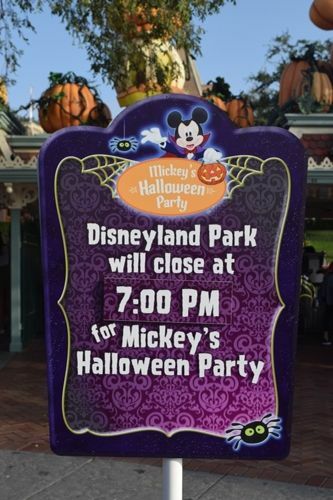 There was signage out in the Esplande letting guests know that Disneyland would be closing at 7:00 pm or 6:00 pm for the party! 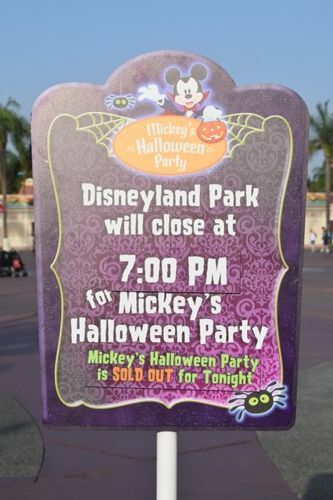 The signs near the ticket gates didn't mention if the party was sold out, but the ones by the ticket booths had small print saying the party was sold out. 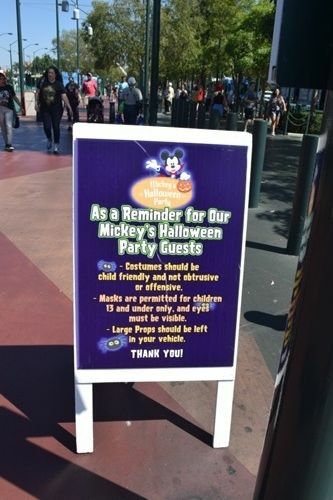 There was also a sign reminding guests about the costume rules for MHP. It's the same rules in the past years. 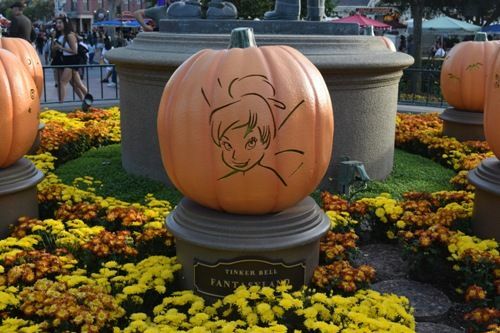 For the most part guests seem to embrace the "family friendly" guidelines. 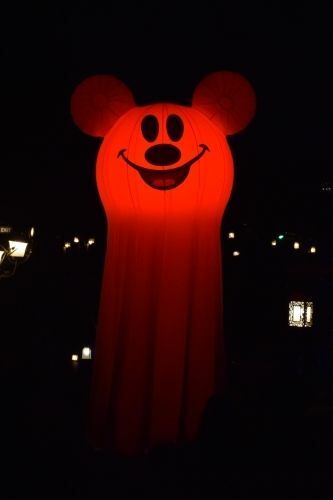 We only saw a handful of questionable costumes; most guests were dressed in something Disney related. 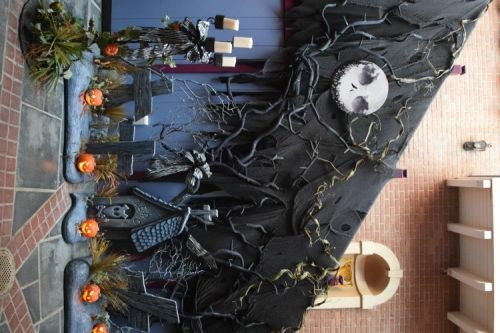 I would estimate that about a third to a half the adults were dressed up and the majority of the kids were in costumes. 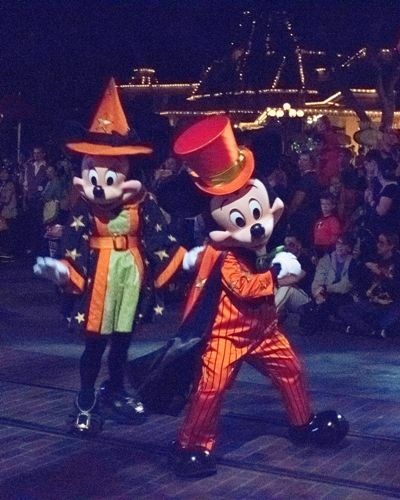 There were also a lot of Halloween inspirted clothing and hats. 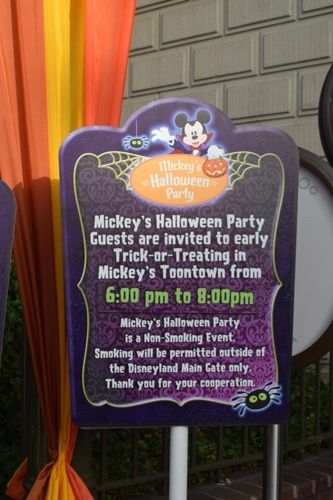 Inside the park were signs announcing the special Toontown Pre-Party Party from 6:00 pm to 8:00 pm (or 5:00 pm to 7:00 pm). 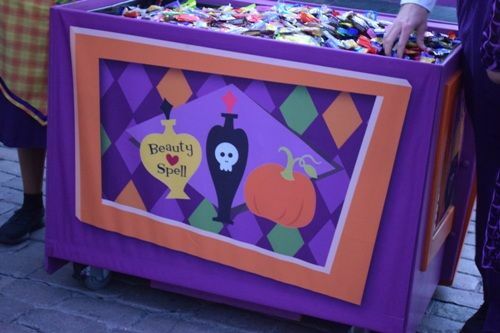 There was also a wristband distribution location inside the park. 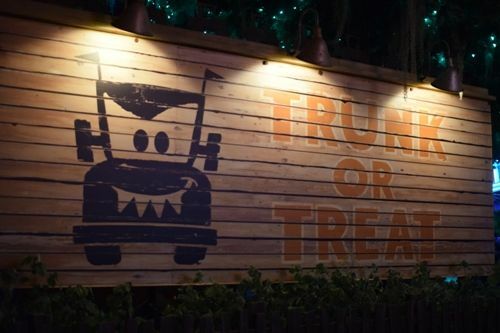 This year, it was located in the old Starcade building in Tomorrowland (behind Star Traders, along the exit walkway from Space Mountain). 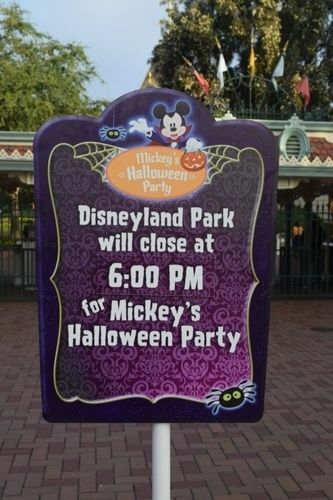 It should open when the ticket gates open for the special event (three hours before the start of the party). 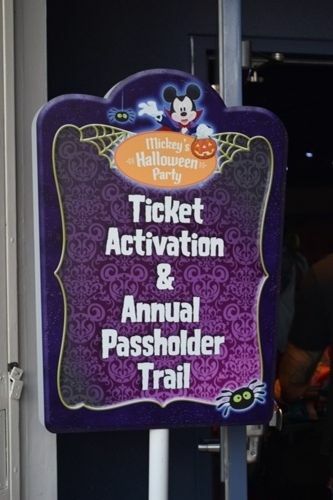 This was also where the AP treat station was located. 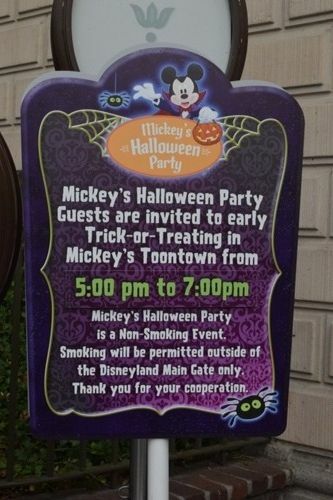 The Toontown Pre-Party starts one hour before the party begins and ends one hour after the party starts (so from 5:00 pm to 7:00 pm or 6:00 pm to 8:00 pm). 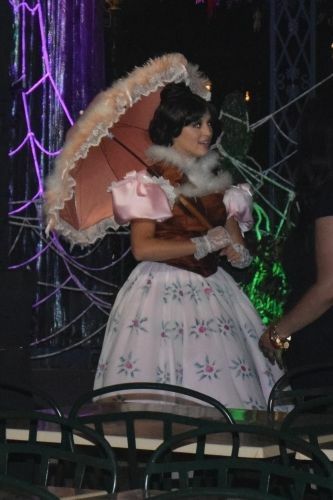 The pre-party has a number of character meet and greets and treat trails. 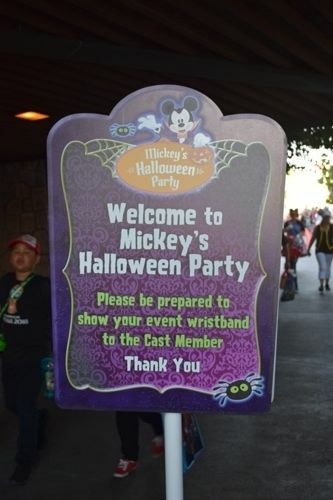 Guests must show their MHP wristband to get in. 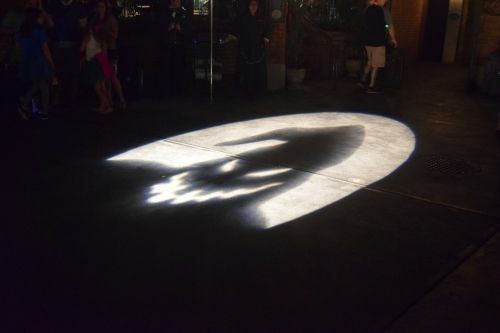 Oogie Boogie - A ghostly image of Oogie Boogie was projected on the ground at the exit to the Haunted Mansion. 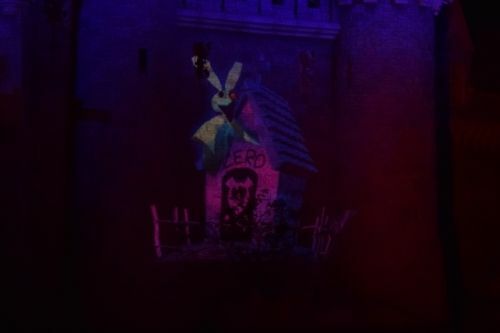 Zero - Zero was projected on one of the buildings in New Orleans Square. 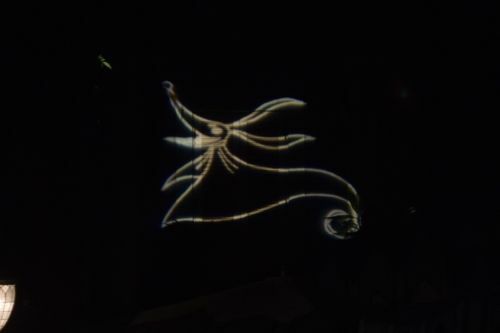 Party Logo - The party logo was projected on the ground near the entrance/exit to the park. 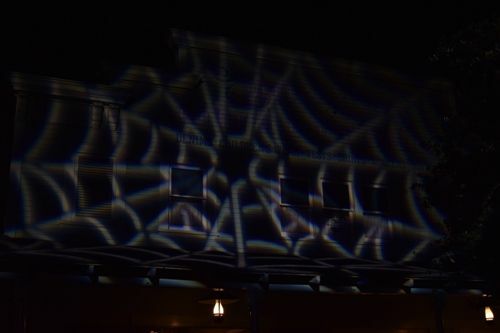 Spider Web - One of the buildings in Frontierland is covered in a giant spider web projection! 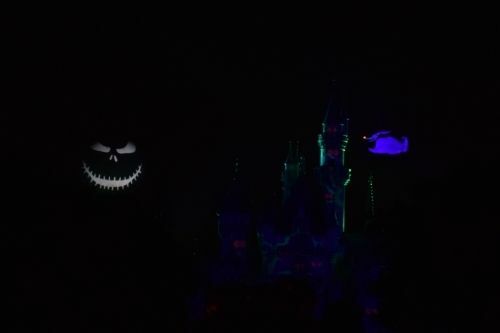 The Castle and Zero - when the suite from Nightmare Before Christmas is playing, Zero floats around the castle. His dog house is on the left side and he hangs out on that side the most, but he does fly in from the left. rentayenta and tzeitel like this. 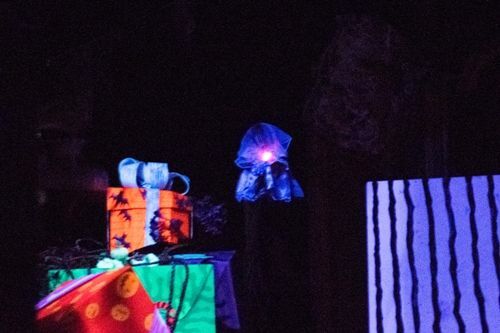 The Cadaver Dans are one of Figment's favorite things to go see (and hear) at MHP. 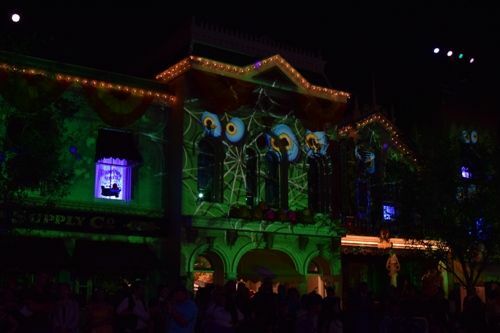 They perform five times per night (7:00 pm, 8:00 pm, 9:00 pm, 10:00 pm, and 10:45 pm) and sing seven songs (This is Halloween, Grim Grinning Ghosts, Cruella de Ville, <Lonely Graveyard>, Oogie Boogie, <Mickey Mouse pumpkin, happy halloweentime is here>, and Headless Horseman). 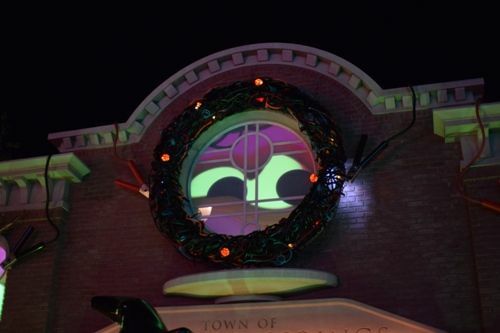 Figment really enjoys their spooky look and sounds! 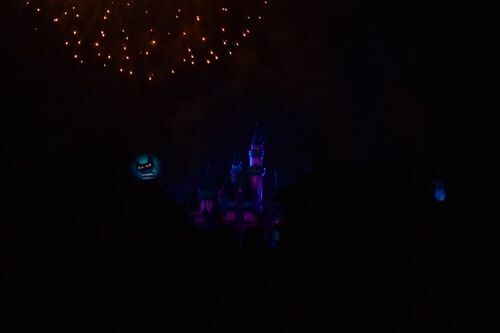 The party exclusive fireworks spectacular features Jack Skellington as the host. 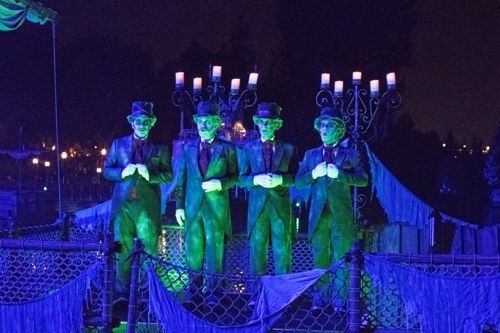 The music is mostly villains' songs, Haunted Mansion, or Nightmare Before Christmas. 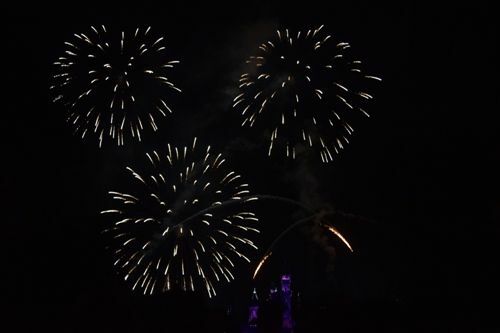 It's one of my favorite fireworks shows, mostly because Zero flies! 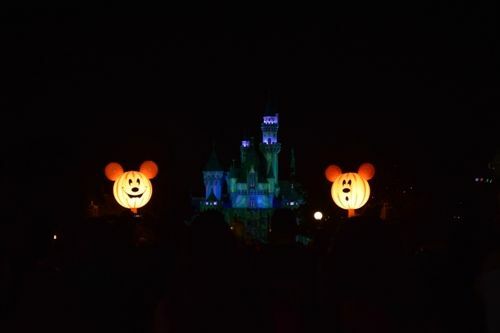 Even the Mickey Pumpkin Balloons are used in the show. The turn on and off throughout the show! fely1st and tzeitel like this. 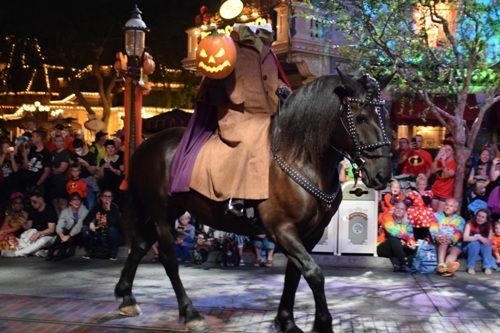 In the woods of Sleepy Hollow...long, long ago tip-toed Ichabod Crane nervously slow...for he heard the dreadful legend the townsmen told...of a Halloween spirit fiendish and bold...beware the Headless Horseman on a midnight steed...he's searching for somebody to supply his cursed need...scurry faster school master, tonight you're not alone...the Horseman's the riding after you...it's time to head home...travel quickly, cross the bridge, don't look back, do not delay...if the Headless Horseman gets you, you won't see another day! 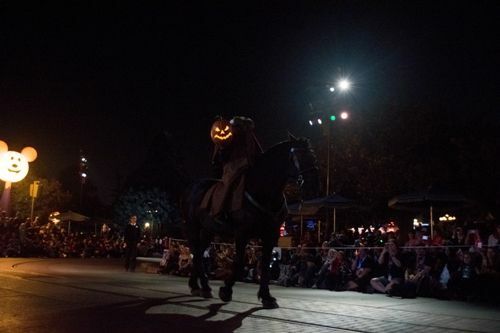 Following behind Ichabod Crane is the Headless Horseman...the horseman moves pretty slowly, so there is plenty of opportunity to see him (and take pictures). 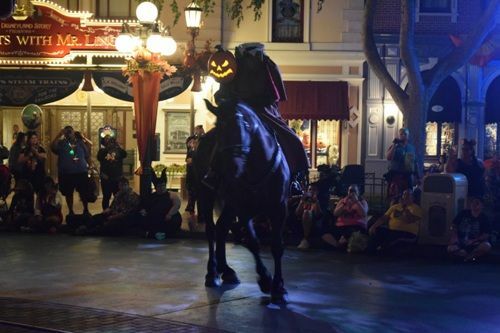 He even stops, has the horse turn 360 degrees, back-up a little, and then "pursues" Ichabod. 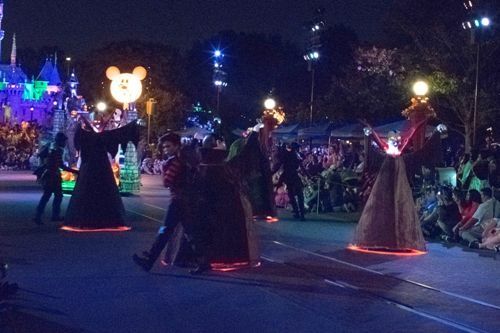 Mickey and Minnie start the parade! 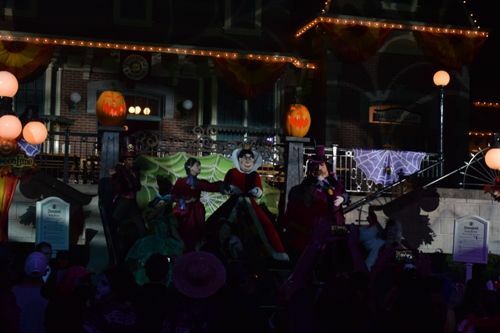 Nightmare Before Christmas - The Mayor of HalloweenTime leads the next set of floats. 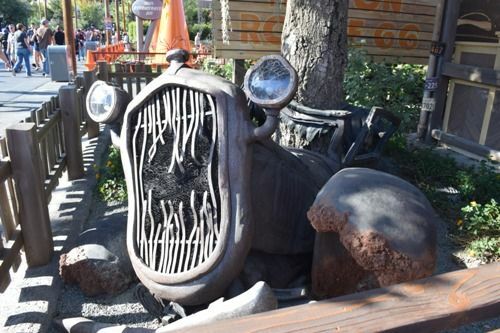 His face alternates between happy and sad as he drives down the route in his hearse. 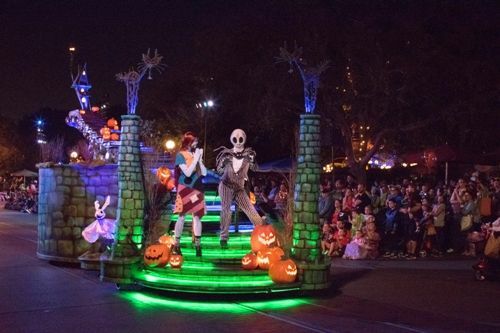 Then it's Jack and Sally, along with Zero and Jack's house in the distance. 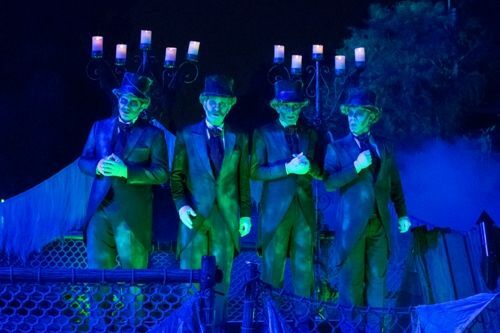 The Haunted Mansion - The ghostly ballroom dances lead the way. 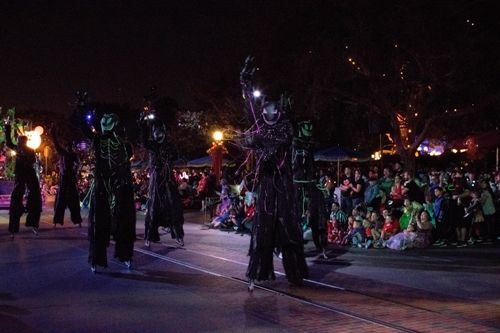 They're kind of undead looking, but not nearly as ragged as the ones in MNSSHP. 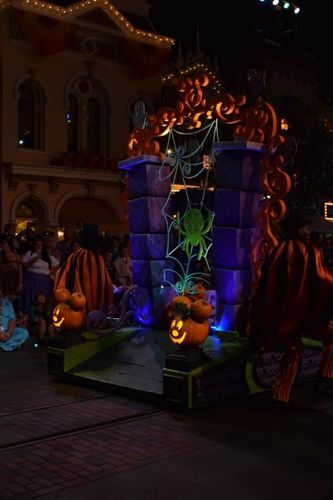 The float features the Hitchiking Ghosts on the front and the Gravedigger on the back (looking scared!). 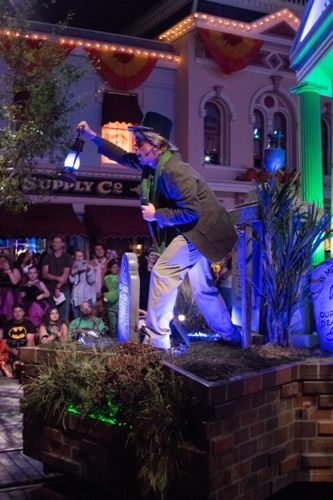 Finally, the gravedigger dancers make an appearance. They use their shovels to create sparks on the ground! 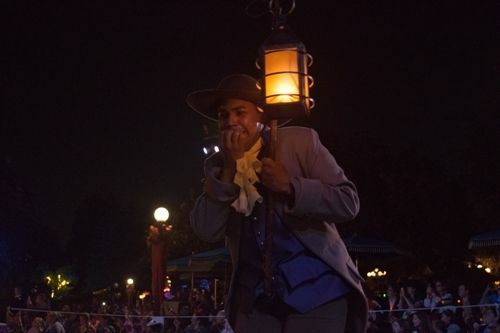 Dr. Facilier - Dr. Facilier and his friends from the other side are next. 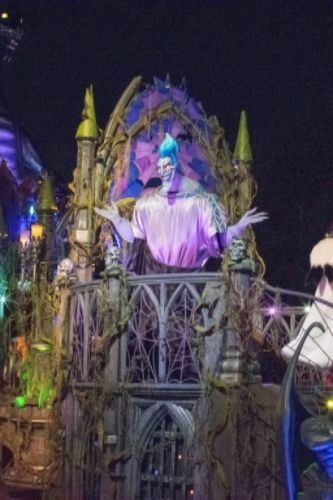 Villains - A group of villains lead the way for the final float. 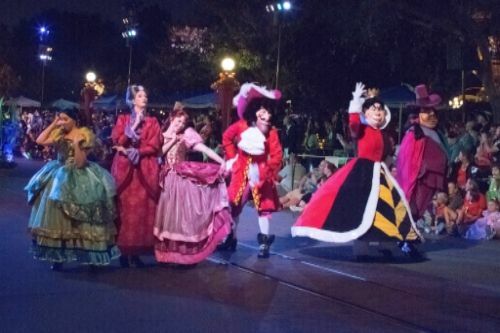 Ursula leads the way, as Lady Tremaine and the step sisters, Captain Hook, the Queen of Hearts and Governor Radcliffe follow. 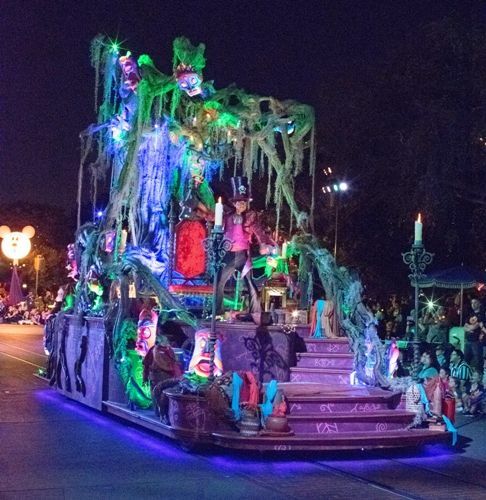 The villains float is still one of the biggest/longest and most impressive floats. 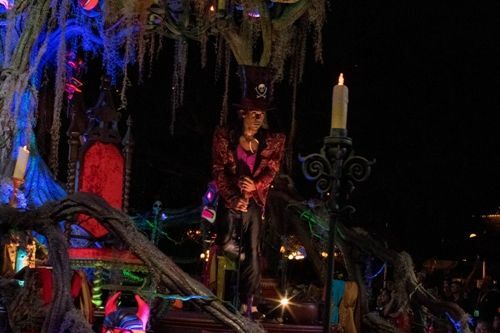 Cruella and Hades are in the front, with the Evil Queen in the middle. 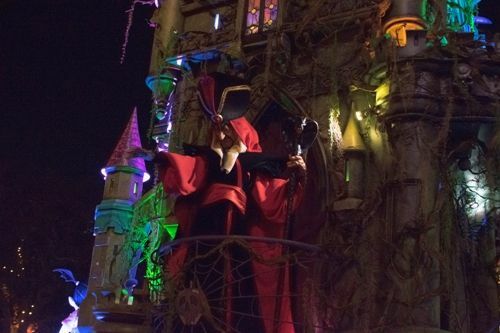 Jafar and Judge Frollo are on the sides, and Maleficent (in dragon form) looms over all of them. 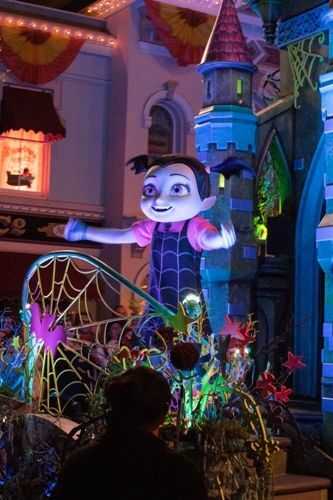 This year, the back of the float features Vampirina instead of Gaston. It's kind of a weird juxtaposition; the villains are all being villainous, but she's all peppy and bouncy. 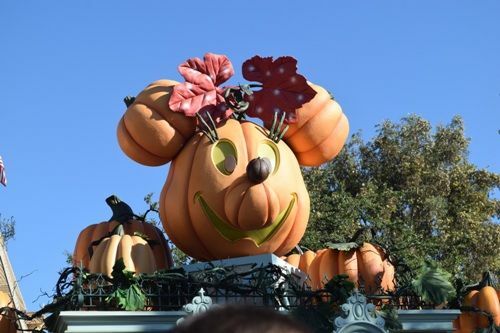 She's cute and she fits with Halloween, but hopefully if they keep her in the parade next year, they'll find a better spot for her. 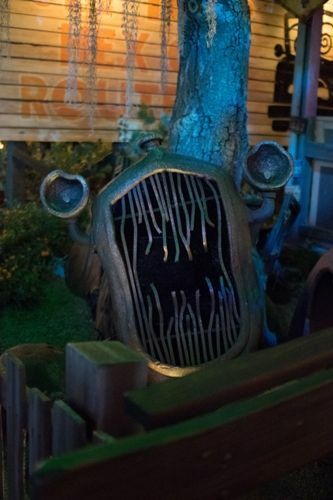 The dragon that used to live in the old Skyway Station moved to Frontierland a few years ago. 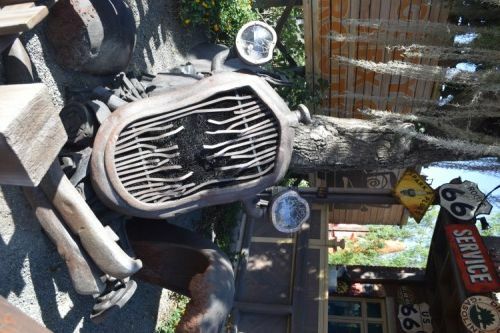 He can now be found in the old mine cave by the pond along the Big Thunder Trail. 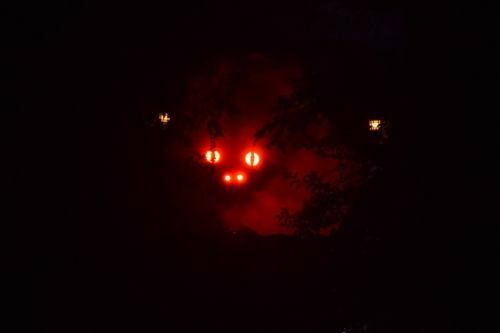 He makes periodic appearances, with his glowing eyes! 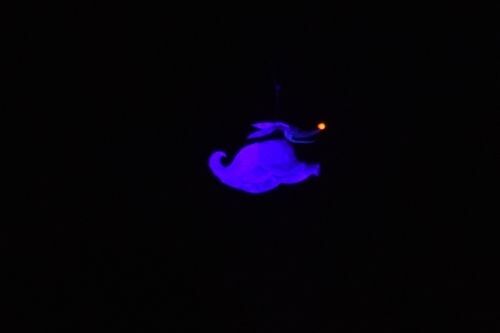 Figment and his family isn't really into the character meet and greets, but there are a lot of them during MHP. 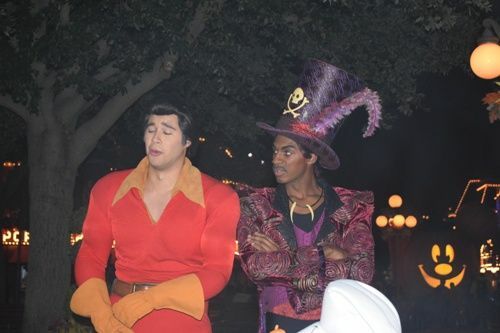 Some of the characters are exclusive to the party, while others are the same from during the day. Jack Sparrow and Redd switched off at the Mark Twain M&G. When it was her turn, Redd chased Jack out of the spot. One lucky group got to meet both of them together. 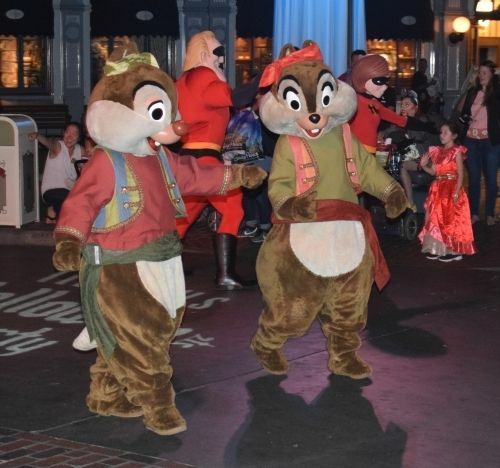 The other half of the M&G featured Peter Pan and friends. 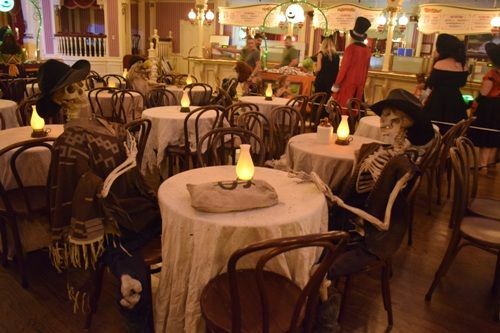 New this year was an unannounced meet and greet with either Constance or Sally at the French Market M&G location. The location was on the map, but nothing said who was there. 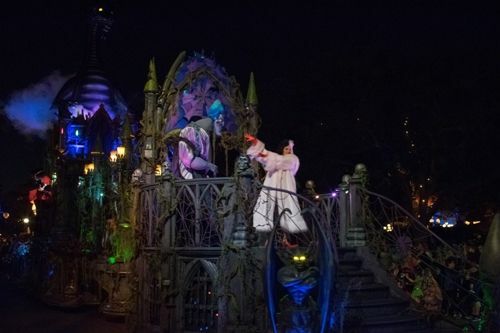 Constance is the murderous bride from the attic scene in the Haunted Mansion. 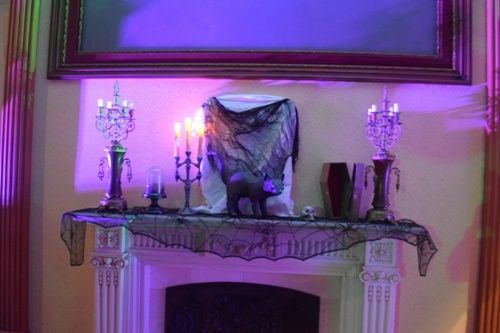 Sally is the tightrope walker who is about to be eaten by an alligator in the stretching room portraits. The lines for them were never very long, but I'm guessing it'll get longer as the parties progress and word gets out that they're there! 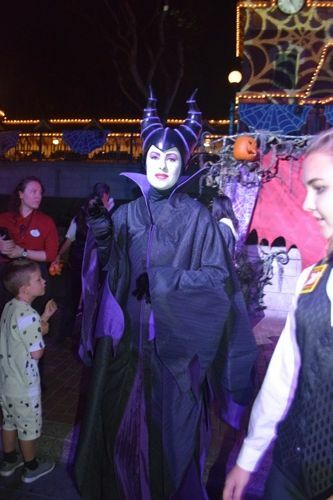 Town Square is transformed into Villians Square. 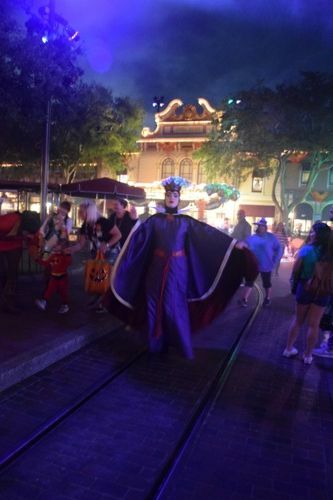 This year was like last year, where there were only two fixed M&G locations and the rest of the time the characters (villians and some non-villians) roamed around the Square. They would pose for pictures, but I didn't see them signing and they didn't stay in the same spot for very long. 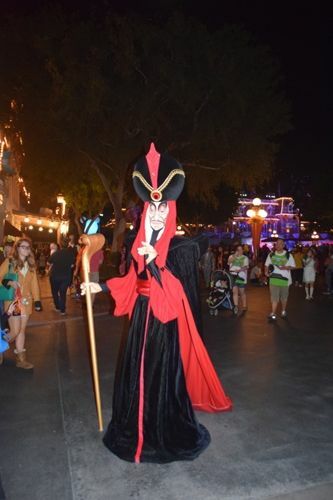 I saw Jafar, the Evil Queen, Dr. Facilier, Gason, and Lady Tremaine and the Stepsisters roaming. 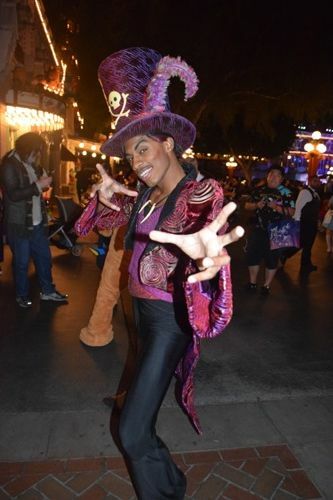 Dr. Facilier asked me if I got a good photo and when I said I think so, he said we'd better make sure and take another with him in his signature pose! 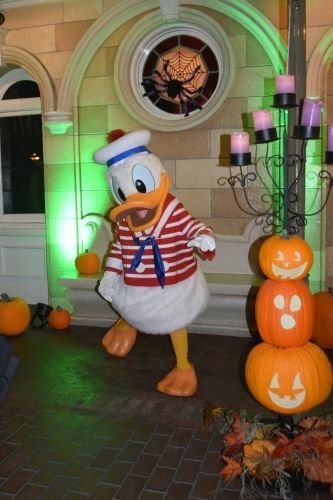 For the non-villain characters, I saw Super Goofy, Sailor Donald, Candy Corn Pluto, and Pirate Chip and Dale in the Square. 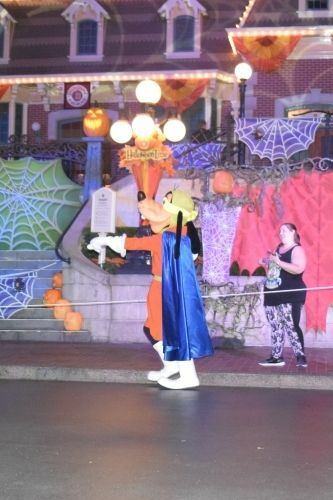 Candy Corn Pluto was trying to get everyone in the area to join him in a modified dance party (some kids joined him). 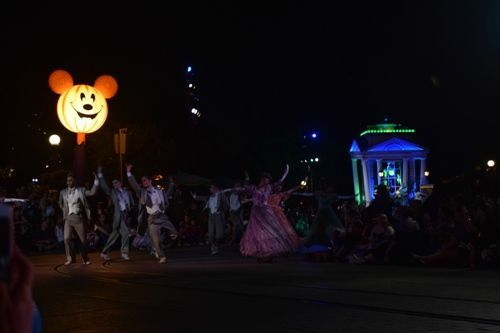 Tomorrowland Dance Party - Characters rotate through the dance party. 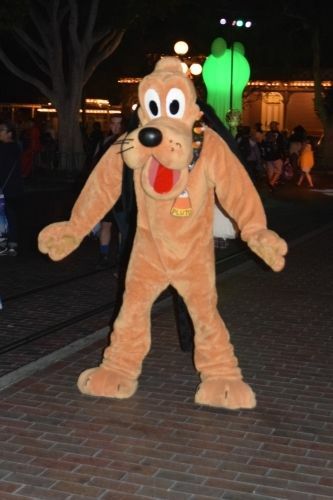 When I was walking by, I spotted Dug the Dog. 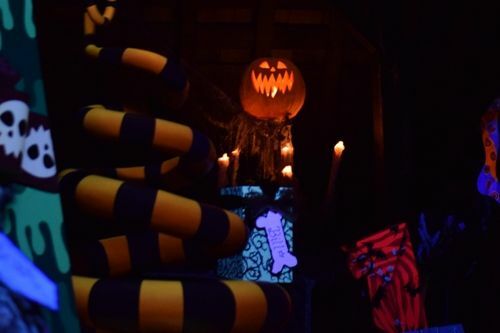 There are several trick-or-treat trails scattered throughout the park (at least one per land)! 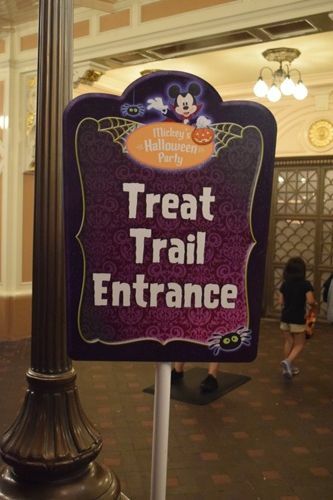 The trail are composed of three or four treat stations (usually). 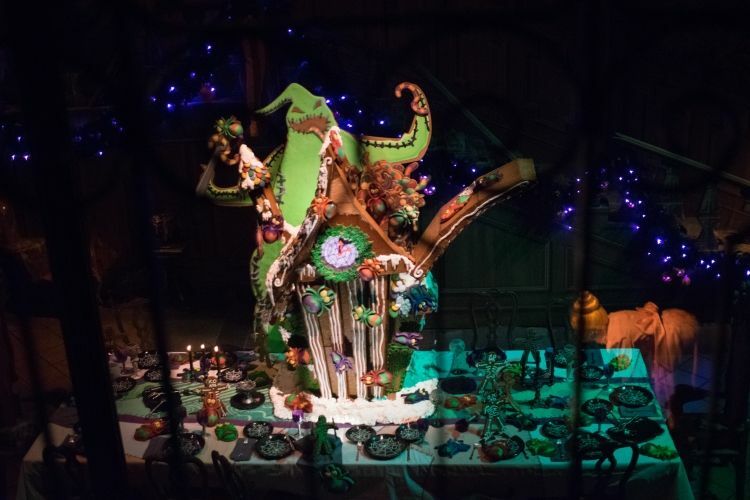 This year, there seemed to be more emphasis on non-candy treats, so the trails usually had one candy station and two non-candy stations (one offering a non-candy item and one offering sliced apples or baby carrots). 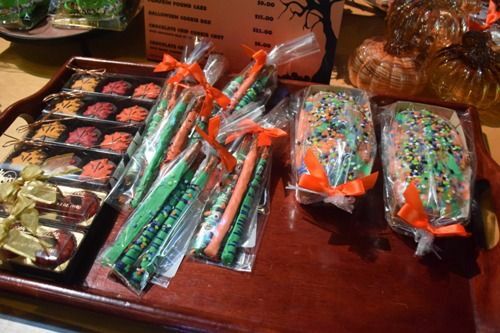 The candy stations usually gave out three pieces at a time and most CMs were pretty accomodating if you asked for something sepcific. 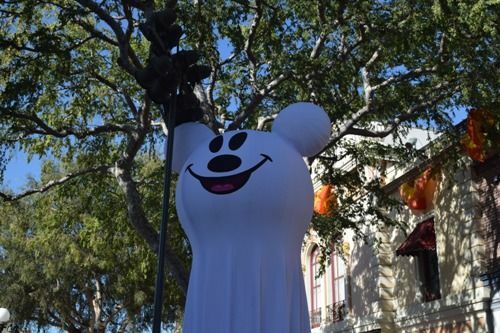 The Mickey Ghost Balloons are used to denote the locations of treat trails! 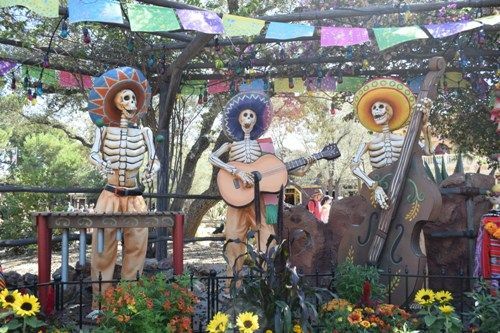 They came in a variety of colors this year. 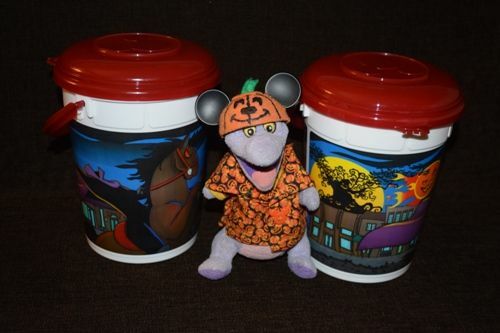 Some of the treat station bins have images on the front that related to their location. 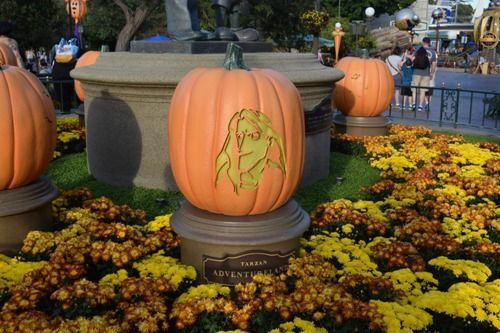 The one with the Haunted Mansion was one of the stations on the River of America treat trail. 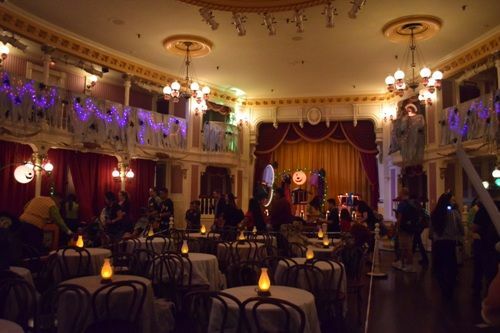 The Golden Horseshoe is used as a treat trail and has a haunted saloon feel. 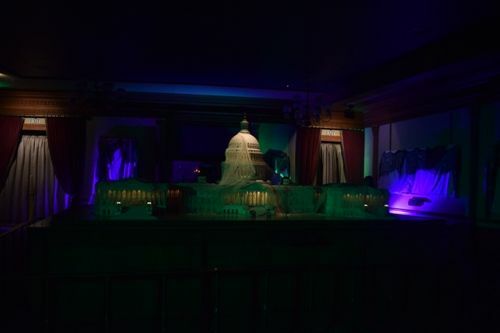 ...By Friday, a spider had been added to the Capitol. 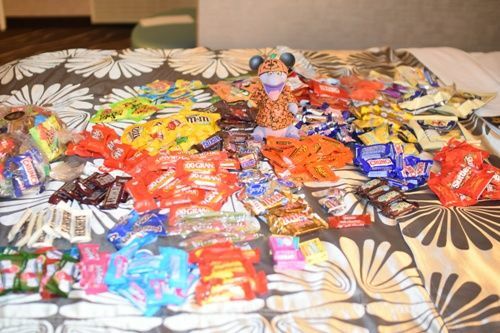 We collected a little under 19 pounds of treats (including the 4 pounds from Blue Bayou) over the course of two parties. 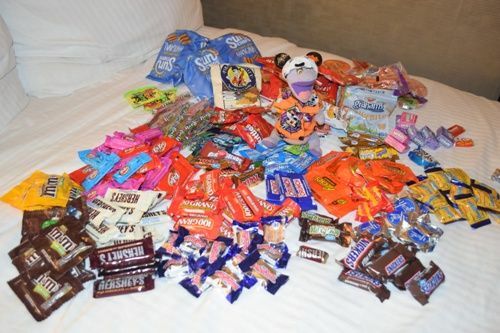 Candy included 100 Grand, Reese's Peanute Butter Cups, M&Ms, M&Ms Peanut, KitKat, Crunch, 3 Musketeers (very few), Krackles (very few), Butterfinger, Baby Ruth, Mikly Way, Snickers, Almond Joy, York Peppermint Patties, Twix, Hershey's Chocolate, Hershey's Cookies 'n' Cream, Yahoo, Rice Crispie Treat, Nerds, Swedish Fish, Skittles, Laffy Taffy, Sour Punch Straws, Twizzlers, Air Heads, Sour Patch Kids, and Starbursts. 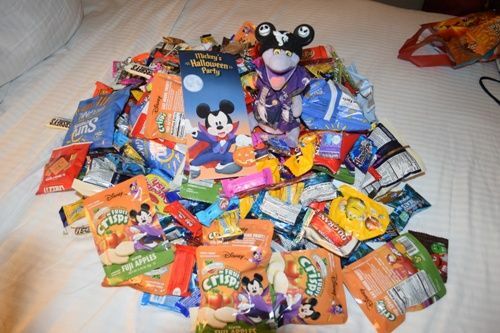 Non-candy included Pirate's Booty, Sun Chips, Grahams Cracker Bug Bites, Goldfish Pretzel, Giant Cinnamon Graham Goldifsh, Fruit Crisps (Apple), and Cheez-Its. Fresh choices were baby carrots or sliced apples. 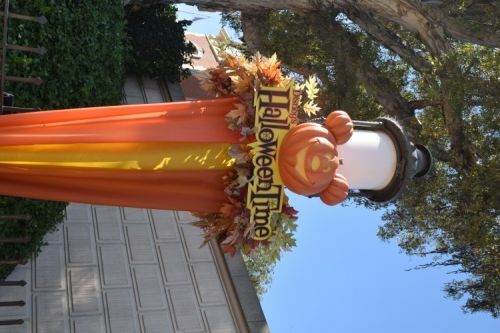 CMs were out and about with special photo props. 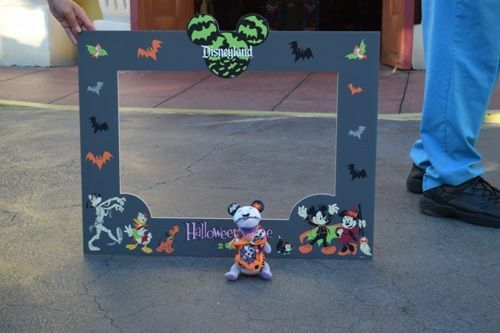 Figment found this cute photo frame in Toontown during the pre-party. 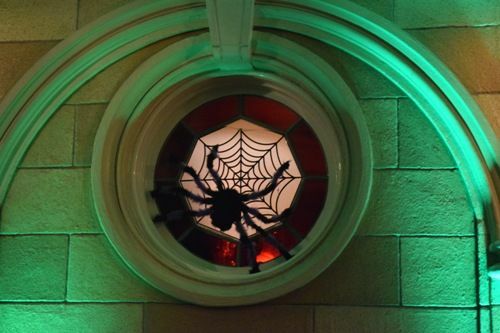 There is a huge spider (decoration) on one of the Main Street windows! 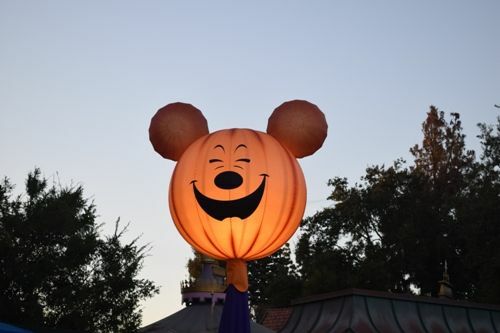 ...But so cute once they're inflated and lit-up! 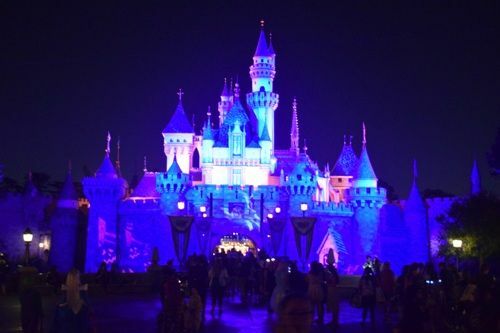 They look great framing the castle! At the end of the evening a number of characters (mostly the ones from Villians Square, plus Mr. and Mrs. Incredible) head up to the train station to wave goodbye. 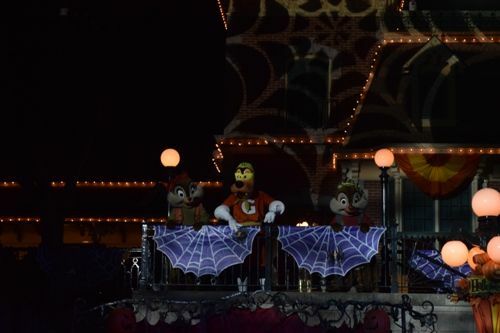 They hang around, waving to the crowd for a while and then head out. It seemed a little disorganized the first night (they shows up about 5 minutes before 11:00 pm and then headed out around 11:15 pm, but no announcements were made). 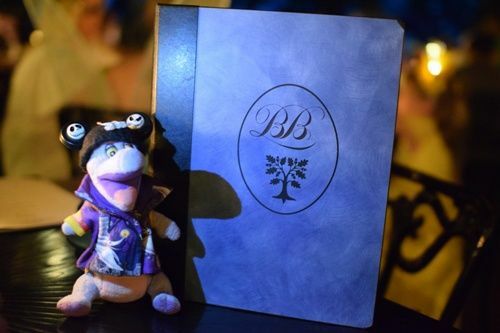 Figment and his family opted to try the Blue Bayou dining package for MHP. 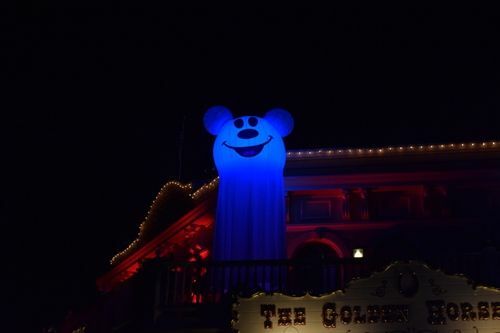 It's been a while since he's been to the Blue Bayou and it seemed like a good chance to return. 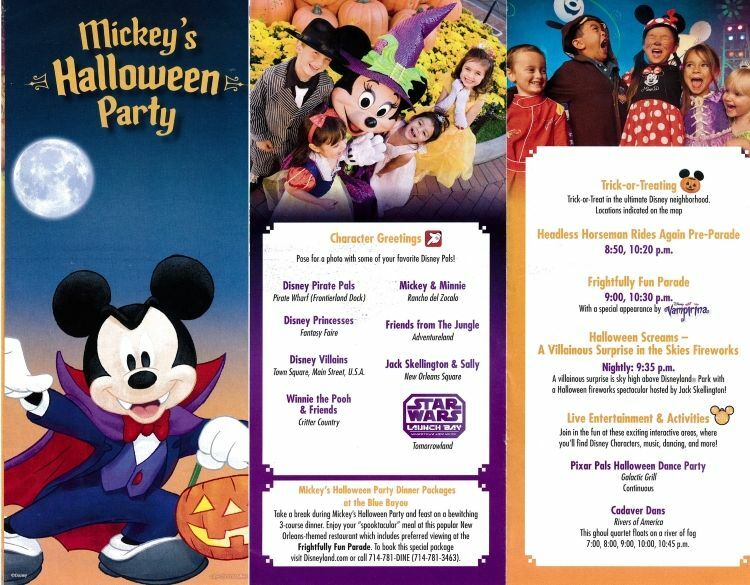 All reservations after 4:00 pm on party nights are for the dining package, but they were taking non-package walk-ups. 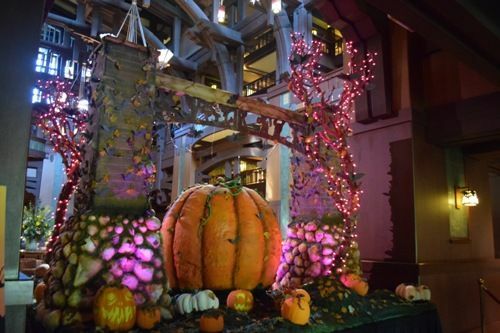 The package is $72 per adult and $29 per child (no discounts) and includes a three course meal and reserved viewing for the first Frightfully Fun Parade. 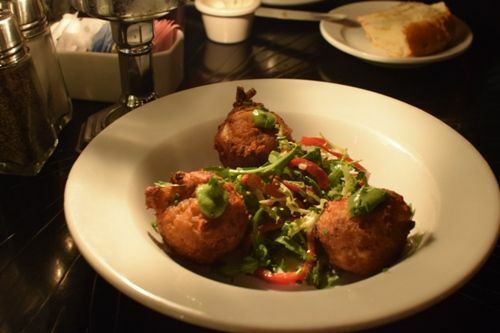 The appetizers included choice of the gumbo or a house salad, or for a slight up-charge ($5), the calamari, beet salad, or crab hush puppies could be ordered. 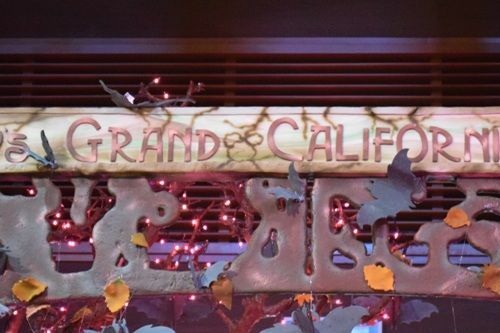 All of the regular dinner entrees were available, plus one additional entree, a Prime Rib. 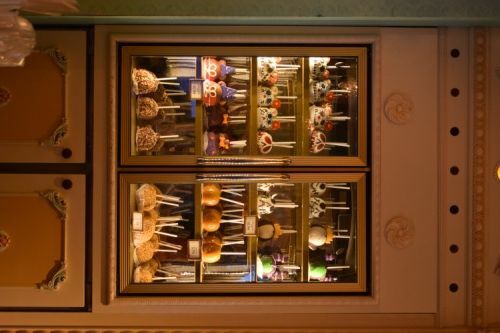 Dessert options were the creme brulee, a chocolate-hazelnut cake, or the package exclusive, Madame Leota's Crystal Ball. 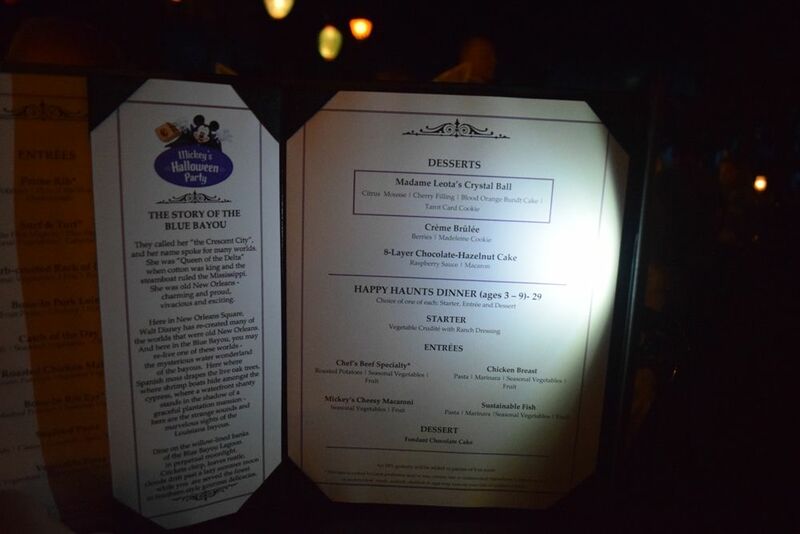 The menus have a small flash light built into the side flap to make it easier to read in the dim light of the Blue Bayou. 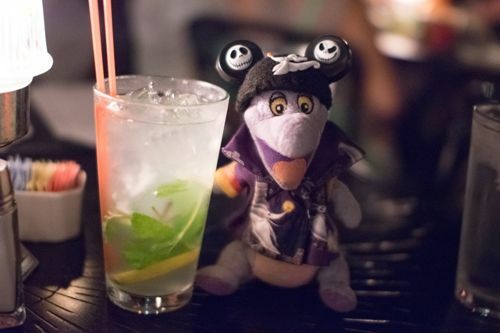 Mint Julep - Figment still likes the mint julep. N'awlins Gumbo - Chicken, Andouille Sausage, Tasso Ham, Rice. 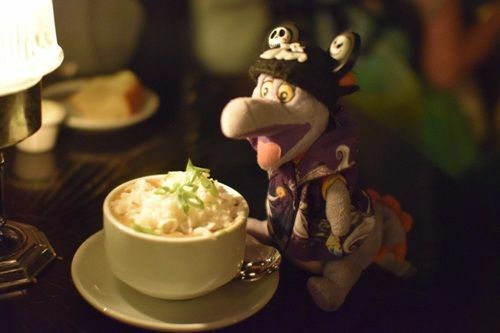 Figment knew he wasn't going to get the gumbo at Cafe Orleans this trip, so he made sure to have it at the Blue Bayou. 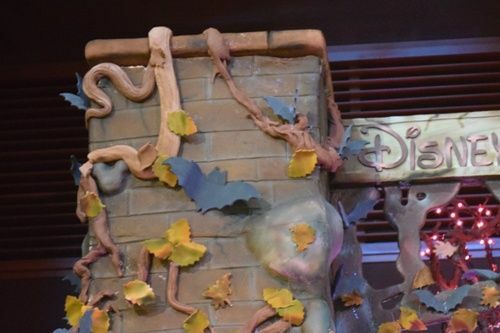 Still as yummy as ever! 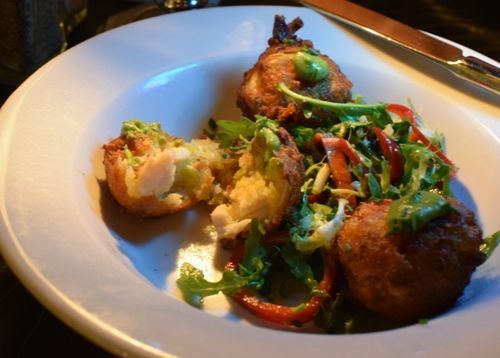 Crab Hush Puppies - Jumbo Lump Crab, Avocado Spread, Fresno Chile, Petit Greens. The hush puppies had lots of big pieces of lump crab meat. 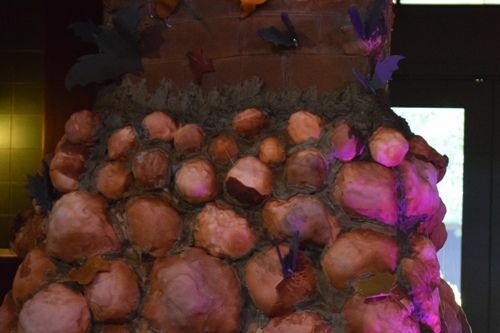 Figment could really taste the crab. Seafood Pasta - Blackened Fish, Mussels, Clams, Crawfish, spicy Shrimp Sauce, fresh Egg Pasta. The seafood pasta had really good flavor and lots of seafood. Prime Rib - USDA Prime Rib, Fondant Potatoes, Hen of the Woods Mushrooms, Natural Jus, Horseradish. 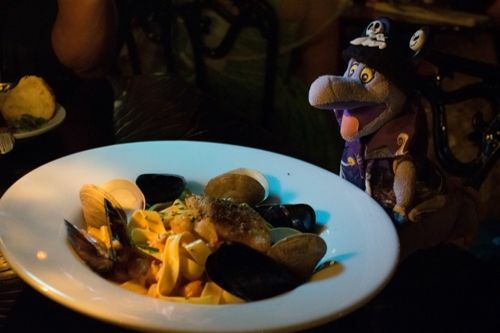 Figment really liked this entree. The prime rib was medium rare, very juicy, and very tender. 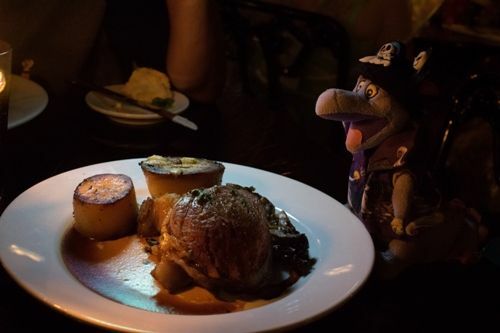 The fondant potatoes were a bit odd, but the mushrooms were good. Surf & Turf - Lobster Tail, Filet Mignon, Blue Bayou Au Gratin Potatoes, Seasonal Vegetables, Béarnaise Sauce. 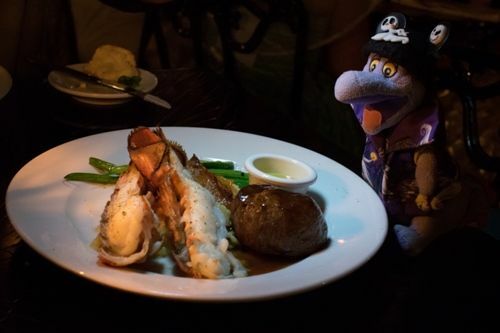 Figment likes the surf & turf option at the Blue Bayou. 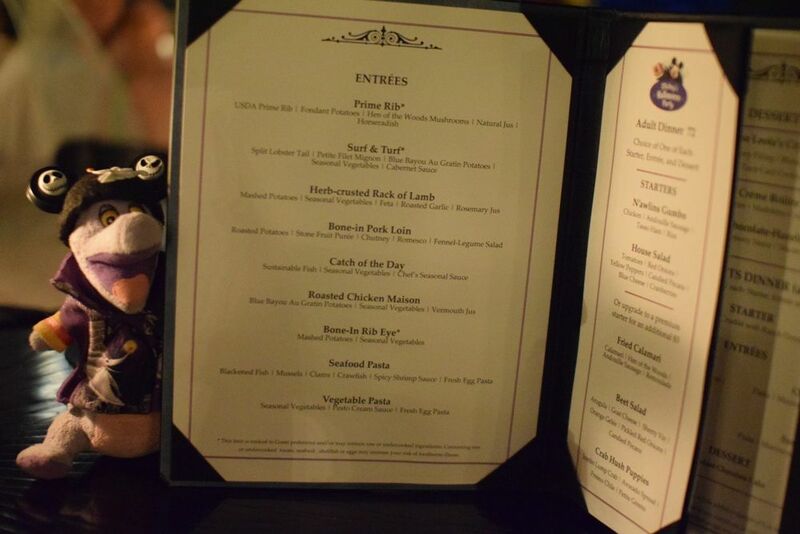 The lobster tail was very yummy, and the filet was very tender. The gratin had a surprising amount of pepper. 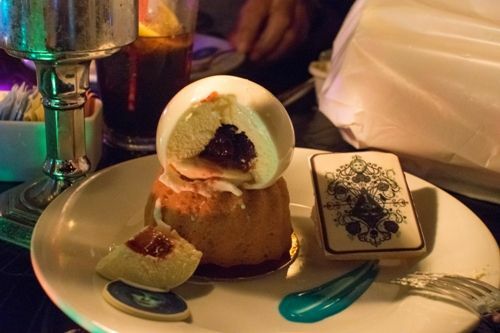 Madame Leota's Crystal Ball - Citrus Mousse, Cherry Filling, Blood Orange Bundt Cake, Tarot Card Cookie. 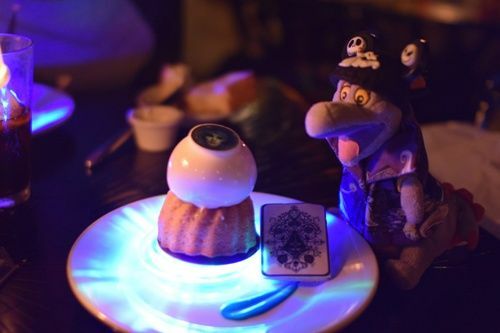 Normally a citrus mousse wouldn't have been Figment's first choice, but being the package exclusive dessert, he had to try it! When it came to the table, it was a very cool sight. 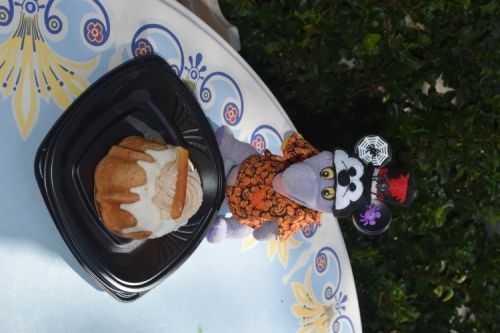 The bundt cake and mousse dome sat atop a light-up color-changing disc, which we got to keep (Figment thinks it's normally a coaster)! The bundt cake was a pretty standard bundt cake, but the mousse was surprisingly refreshing. The cherry filling was slightly tart and it went well with the mild citrus mousse. 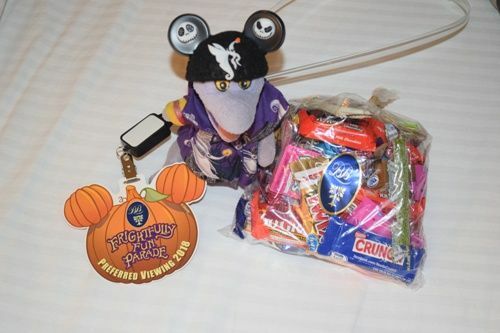 Each dining package guest was given a light-up lanyard and a ticket to enter the viewing area for the parade. 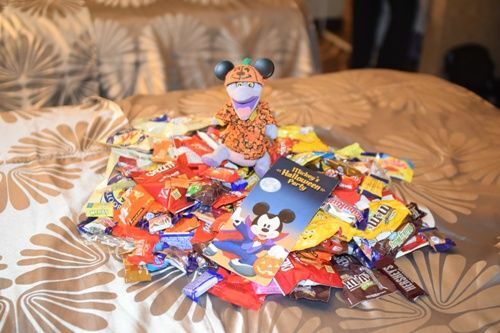 Each guest was also given a bag of candy, which weighted about 1.25 pounds! 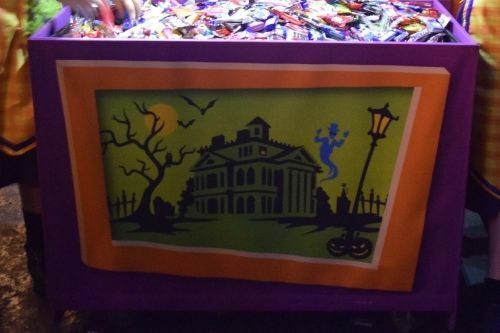 The bag had the same candy that was being given out at treat trails, but neatly packaged in bag with a Blue Bayou sticker on the front. 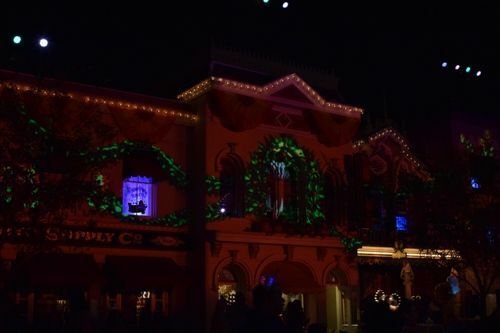 The viewing areas were on the end of Main Street, between Jolly Holiday and Plaza Inn (on both sides of the street). 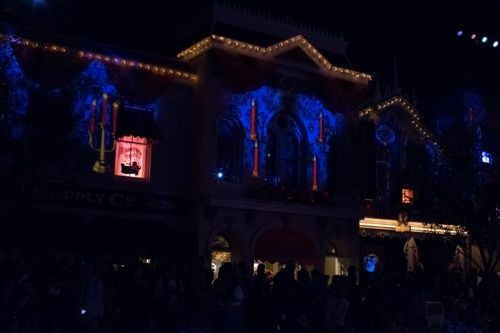 It didn't feel very crowded, with most guests opting to sit on the ground or the benches in the back of the viewing area. 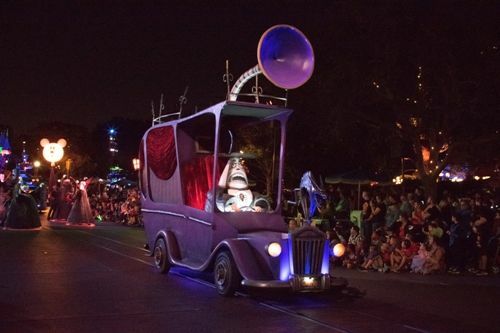 The parade is coming from It's a Small World, so Figment opted to sit on the Jolly Holiday side of the street so he could see the parade coming from a greater distance. It was a good view and it was nice to not feel super crowded. 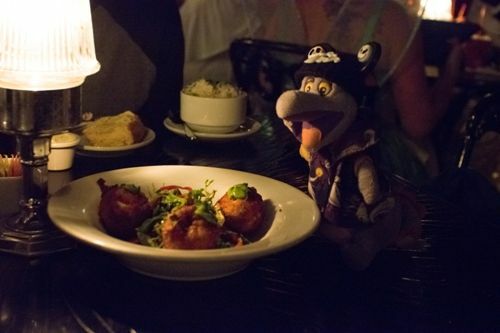 Overall, Figment's family enjoyed their meal at the Blue Bayou. 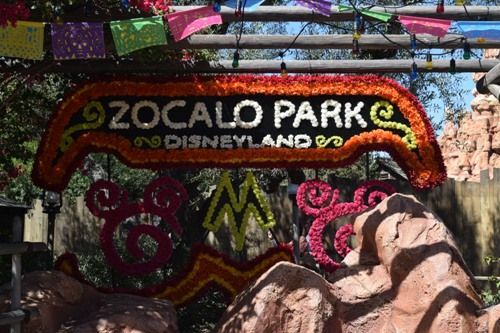 I don't think it's necessary to do the package to see the parade (there seemed to be a fair amount of viewing space available for the second parade), but it's a nice splurge if guests are looking to do something fun and special for MHP. 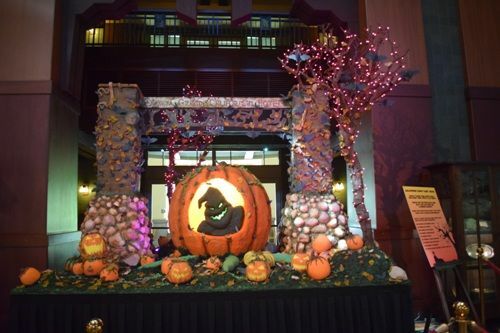 Keeping with the tradition, the Grand Californian had a Halloween-themed Confectionery display in the lobby. 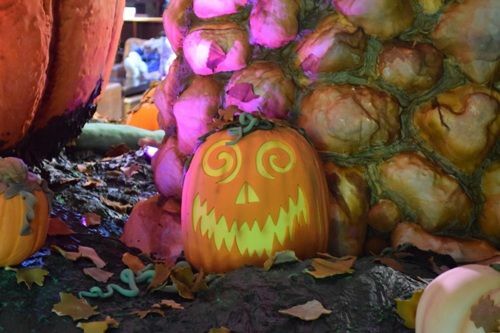 This year, it featured a giant pumpkin with Oogie Boogie on it. 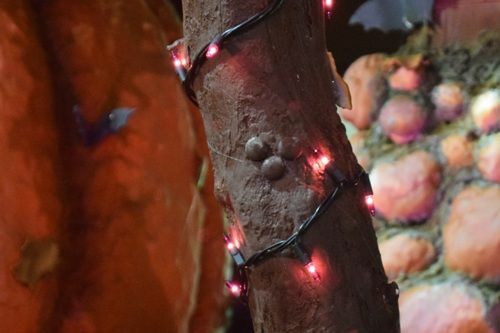 There were supposedly 13 hidden Mickeys scattered throughout the display, but they were hard to find! 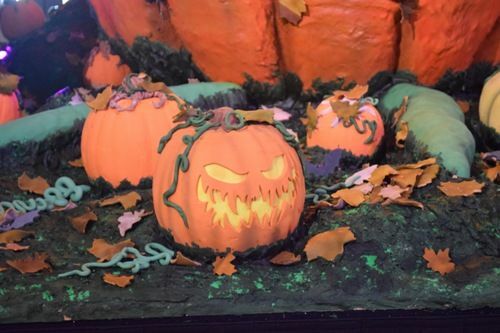 A close-up of the Oogie Boogie! 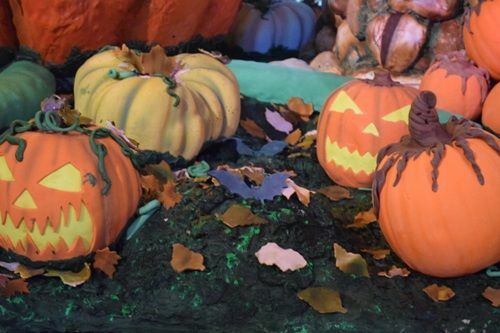 There were lots of little pumpkins scattered throughout the pumpkin patch. There were also lots of bats! 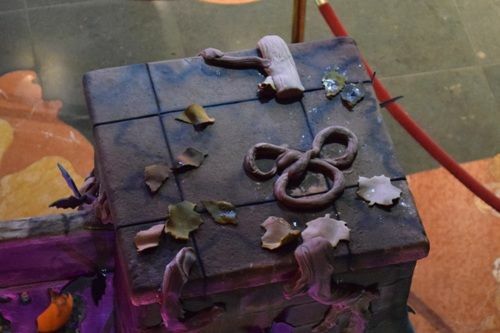 There are 13 Hidden Mickeys throughout the show piece. 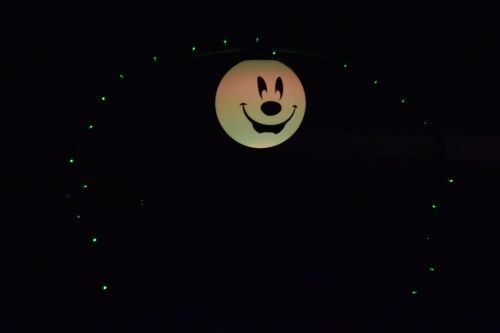 We found some (that were clearly Hidden Mickeys), but there were also many that were in the "iffy" category. This was one of the maybes. 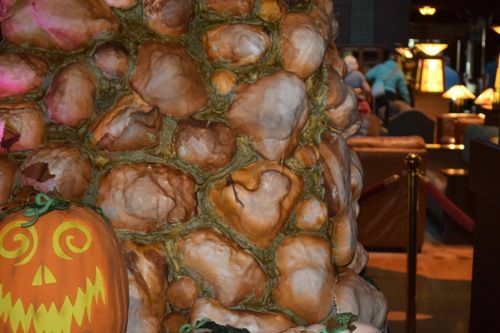 It's stuck out oddly on the tree, but the proportions weren't quite right (it looks like three M&Ms). 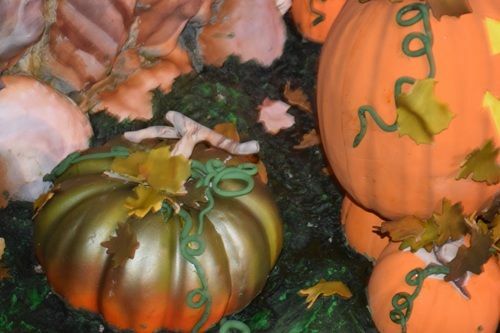 These are two more maybes; the vines at the top of the pumpkins were looped in three circles and kind of looked like a Mickey. 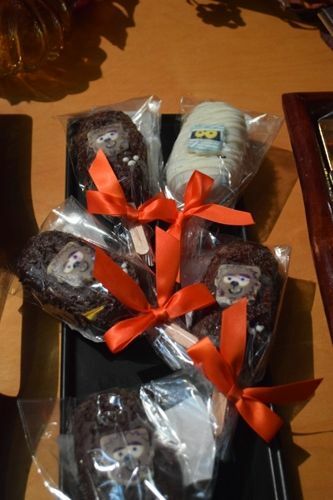 The GCH Lobby Coffee Stand had several cute pre-packaged treats. 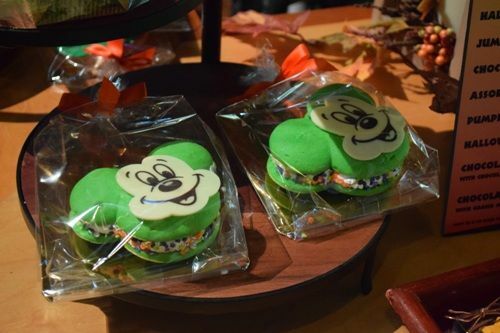 There were Mickey Whoopie Pies, Character Shortbread Cookies, and Monster Whoopie Pies, along with other items. fely1st, Jaina and tzeitel like this. Photobucket is currently having issues. Hopefully they'll be back up soon. 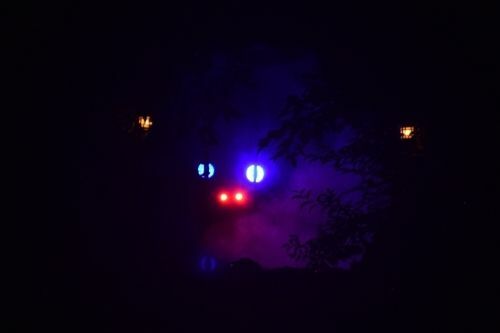 I can see them. 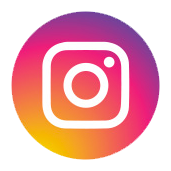 What great pics & info! 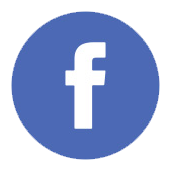 Thanks for taking the time to share with us!